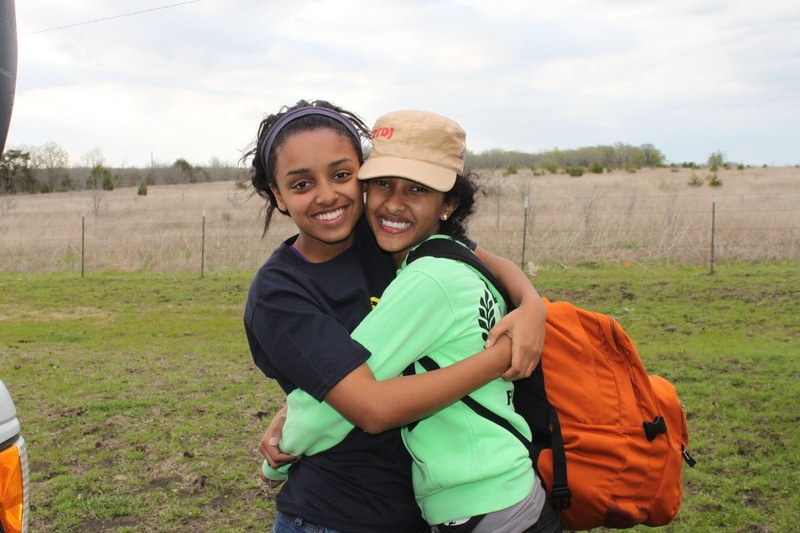 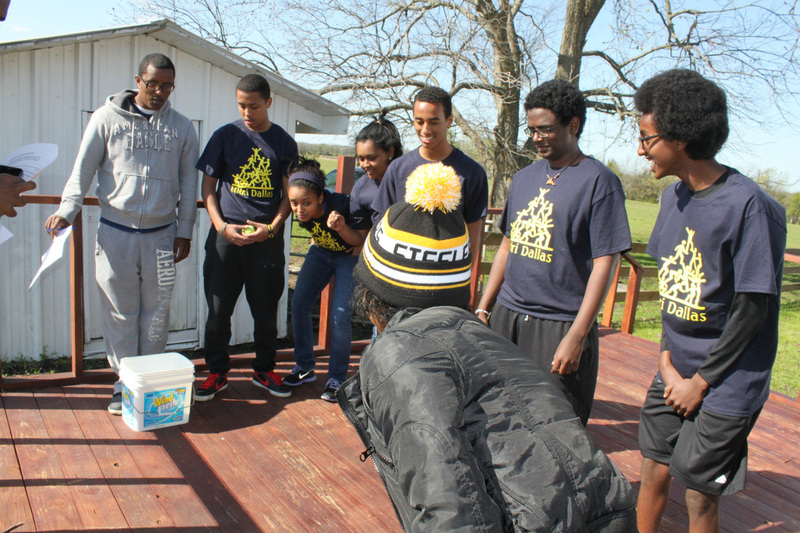 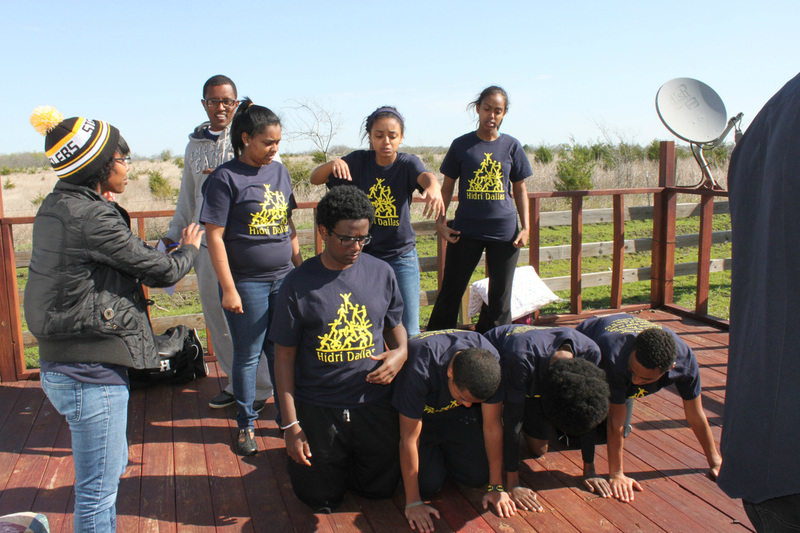 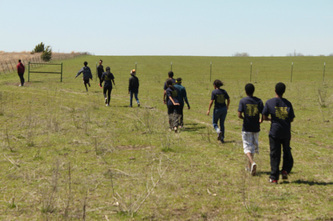 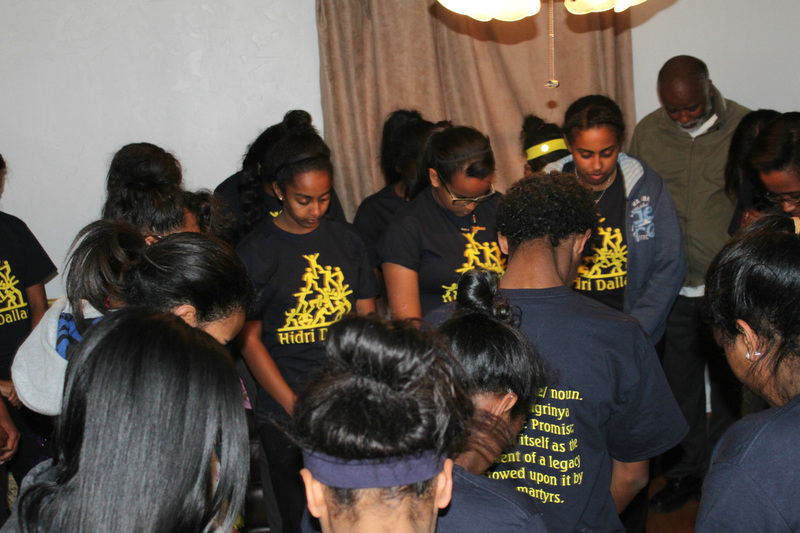 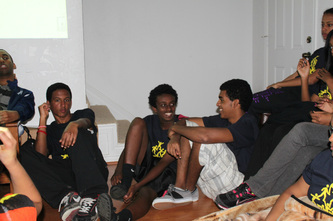 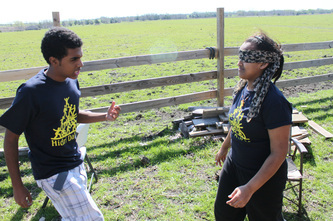 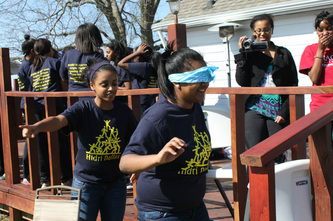 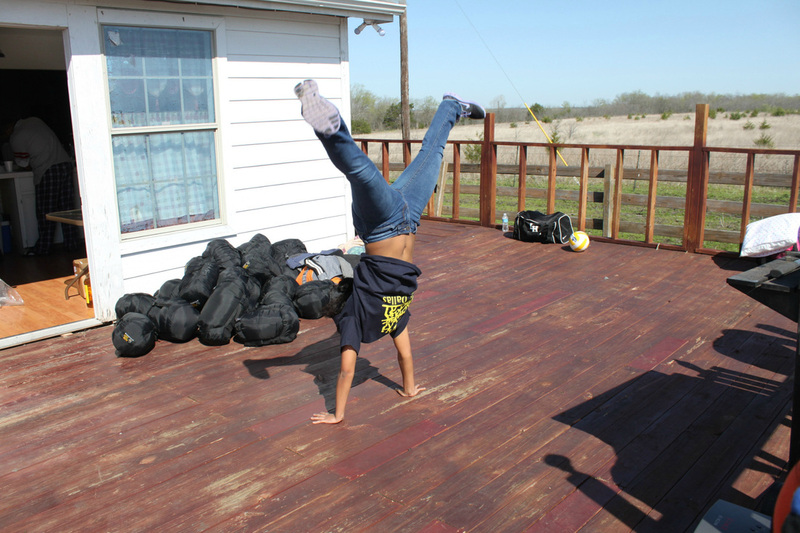 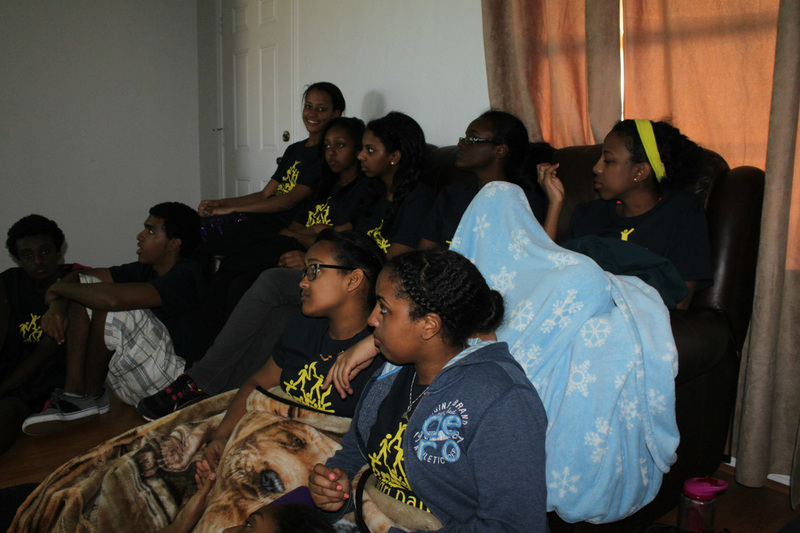 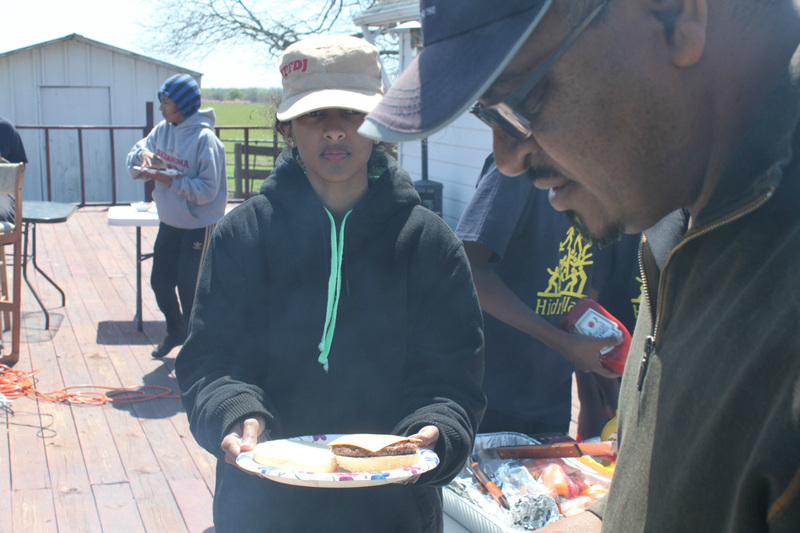 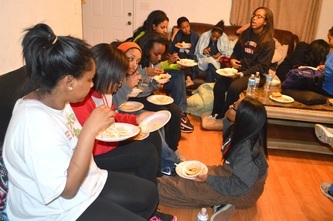 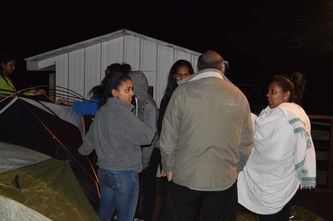 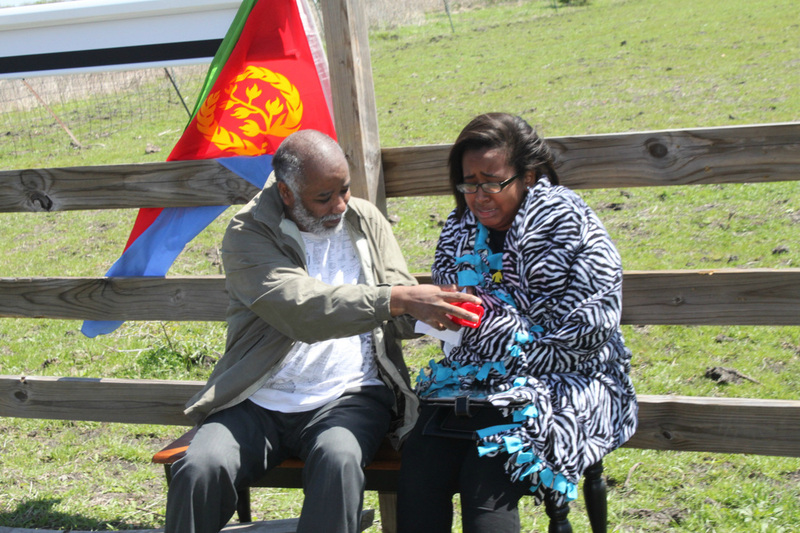 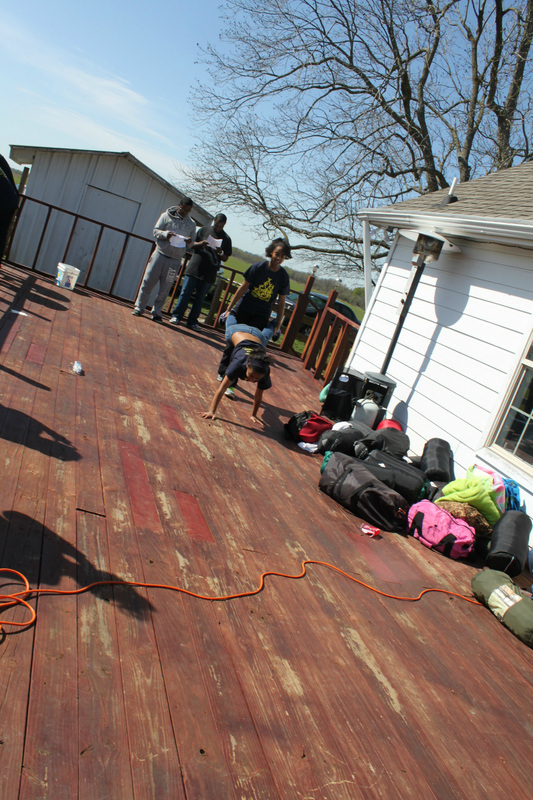 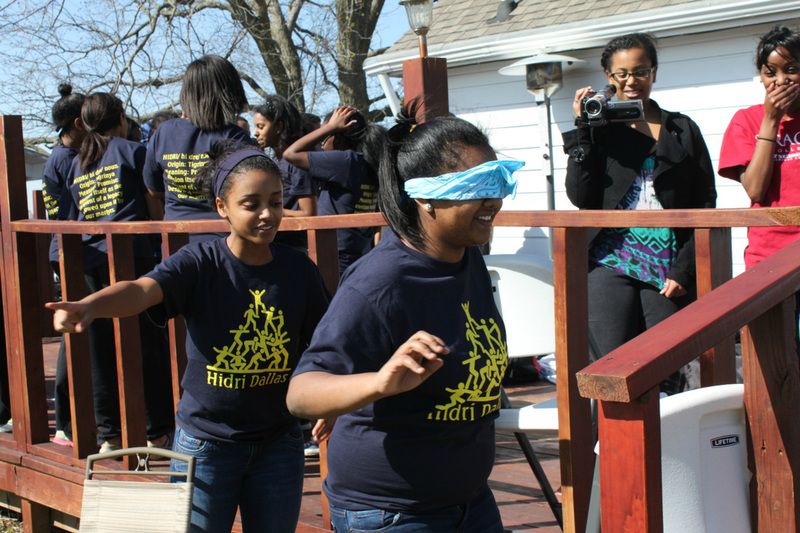 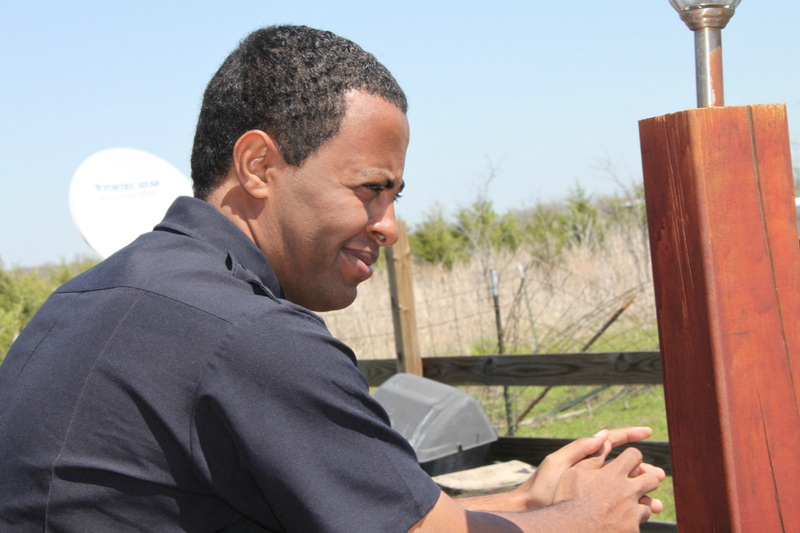 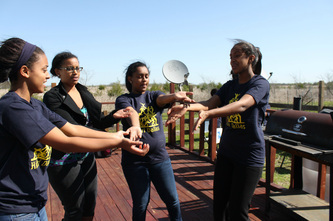 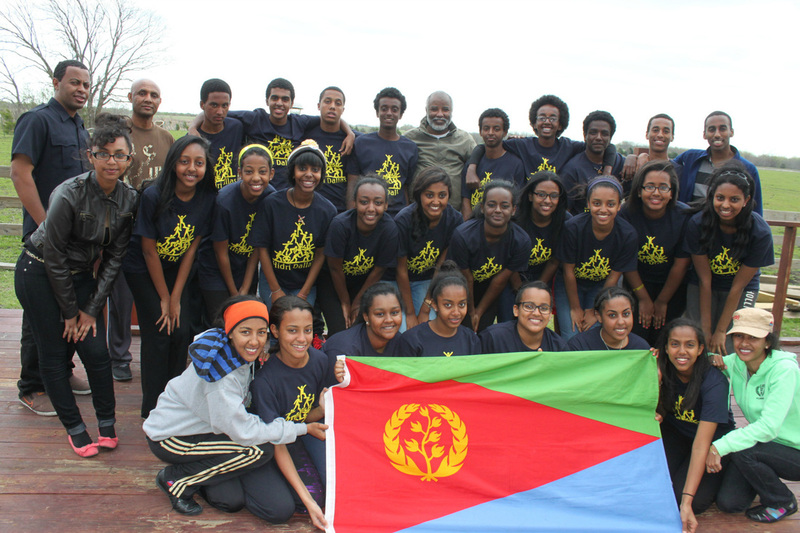 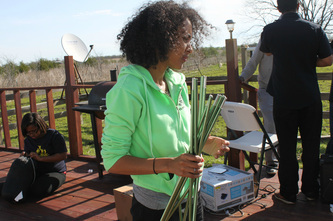 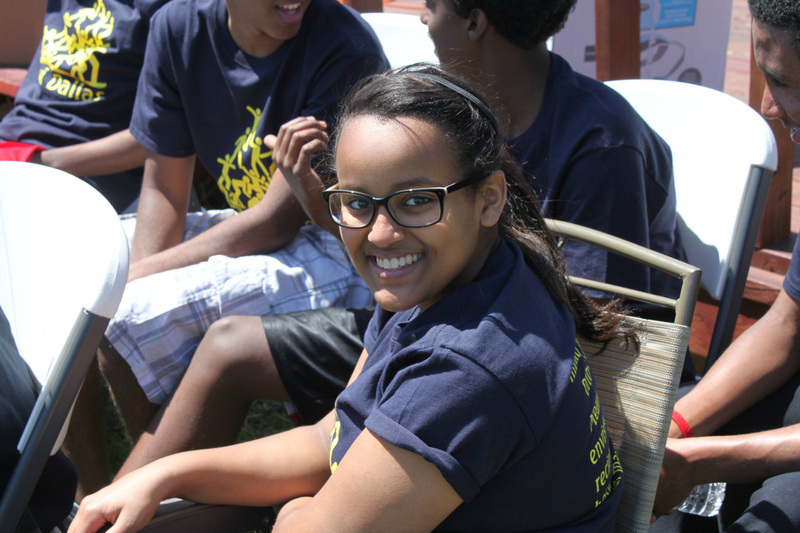 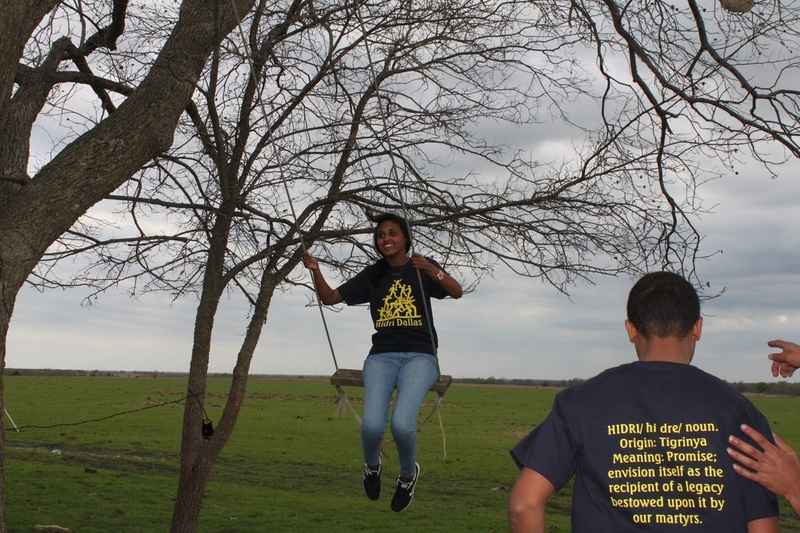 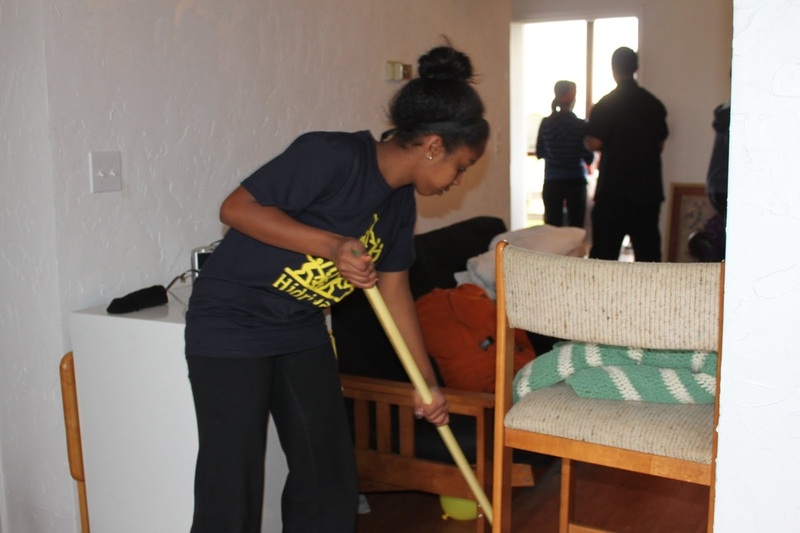 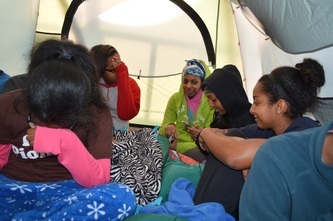 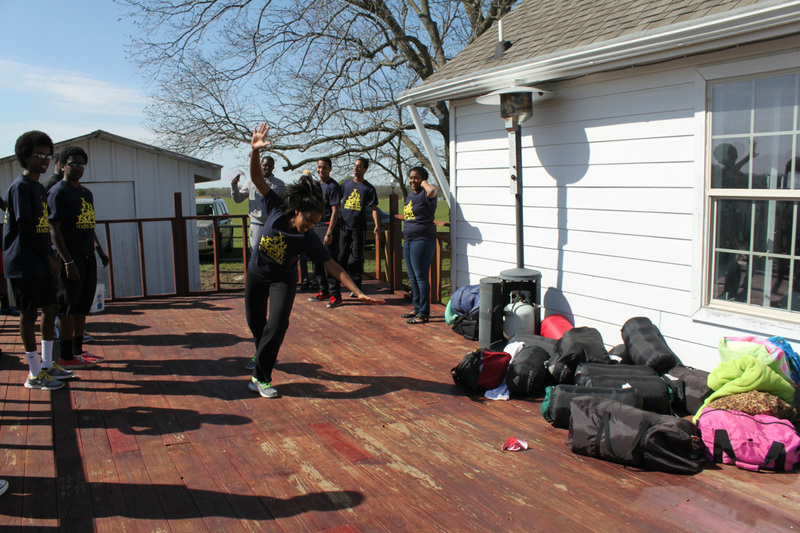 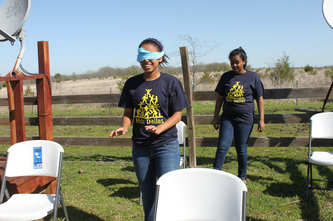 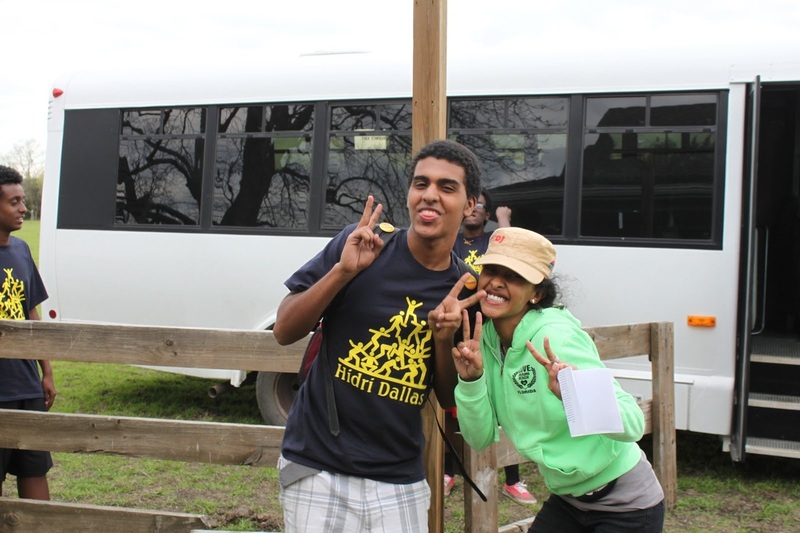 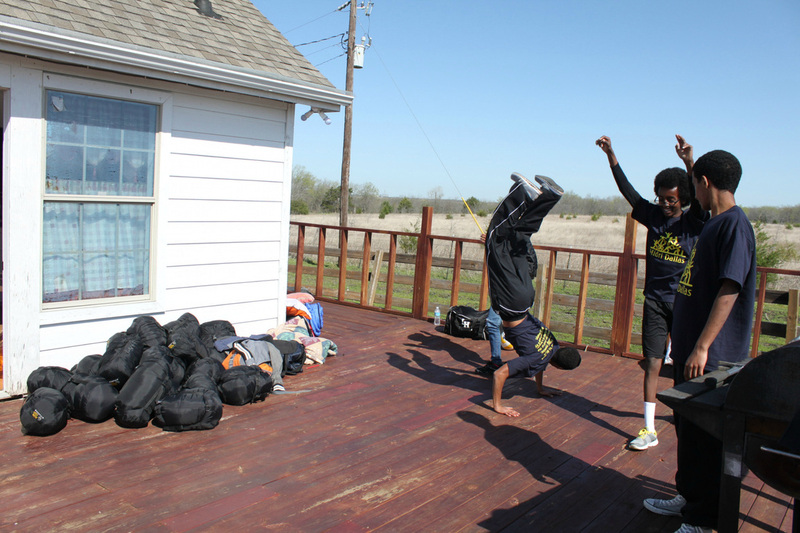 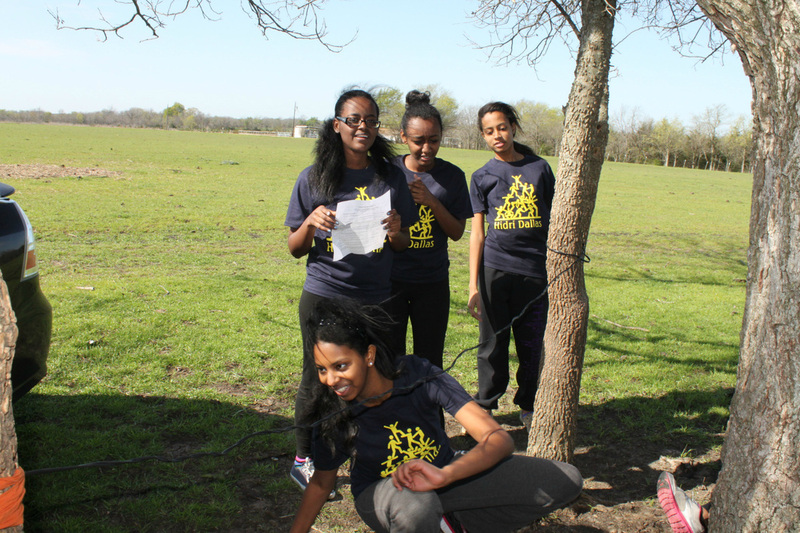 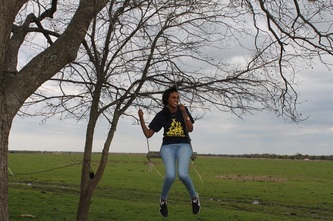 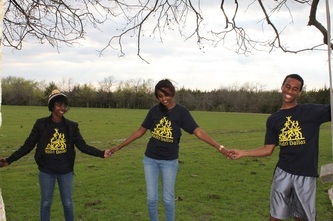 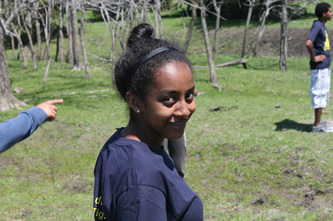 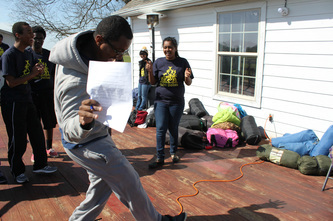 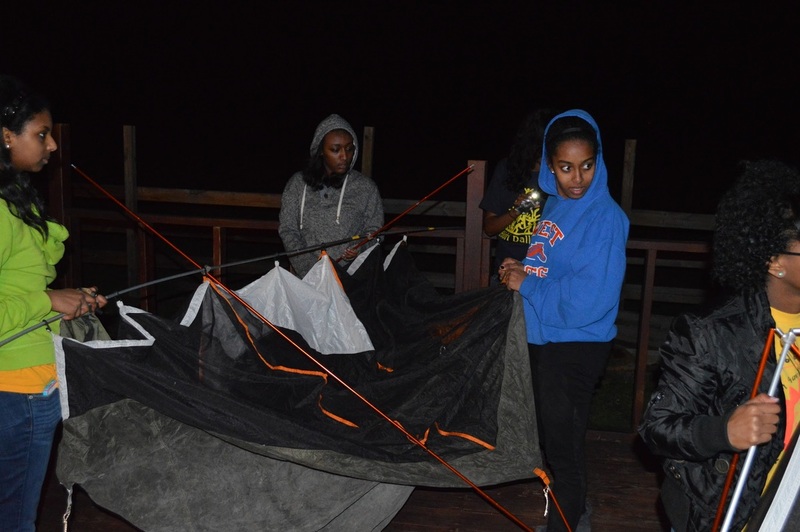 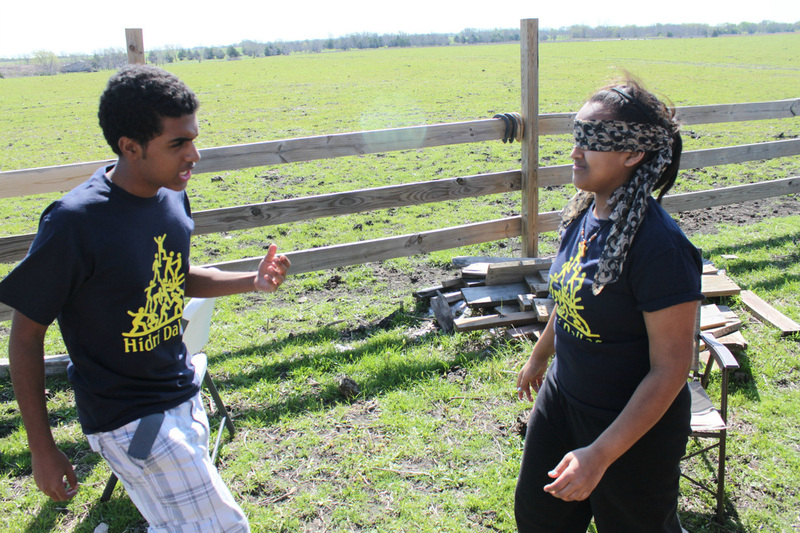 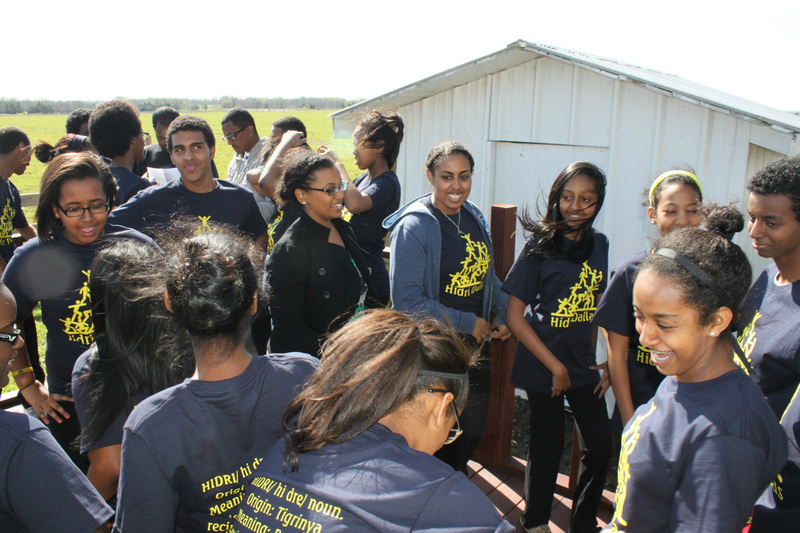 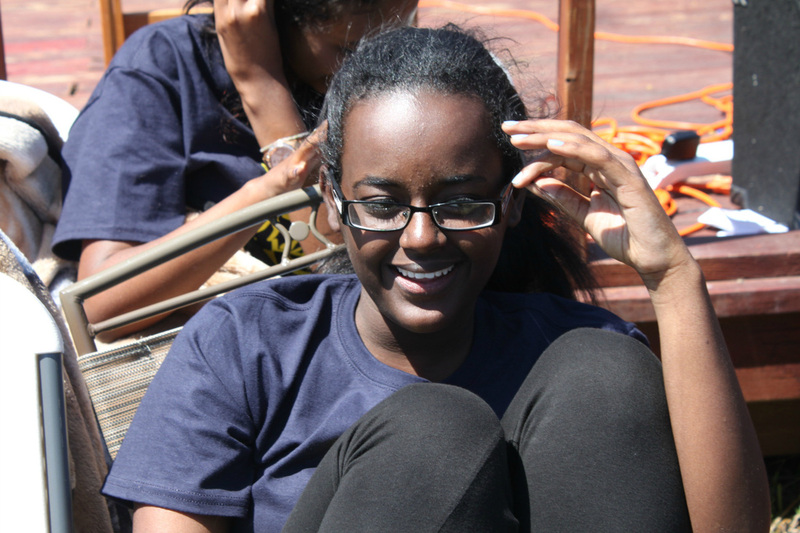 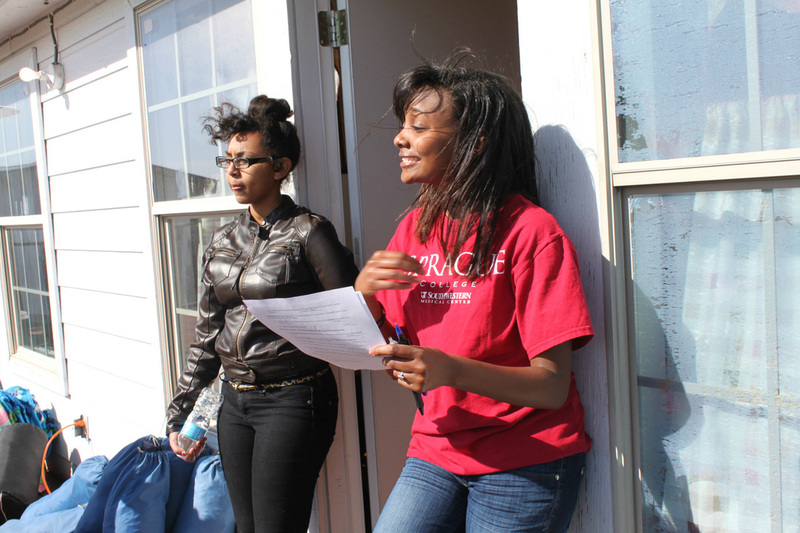 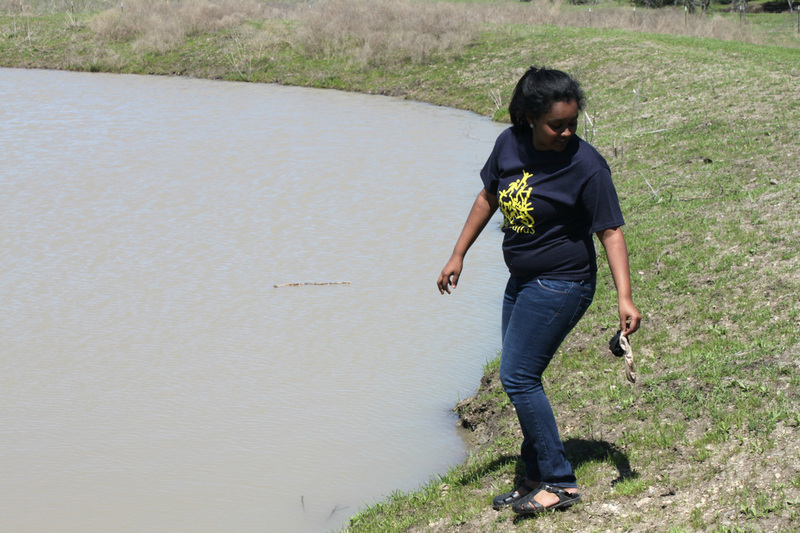 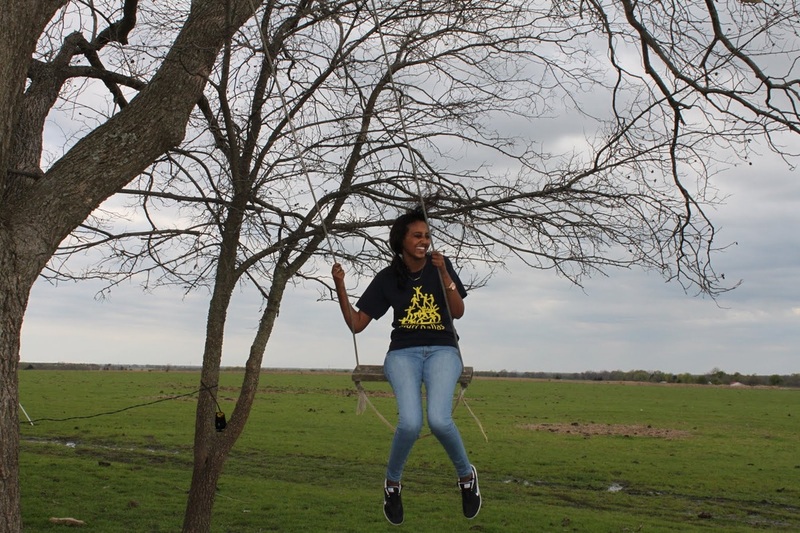 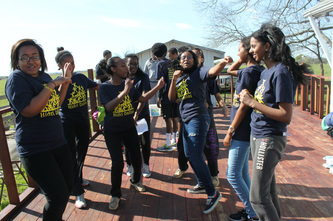 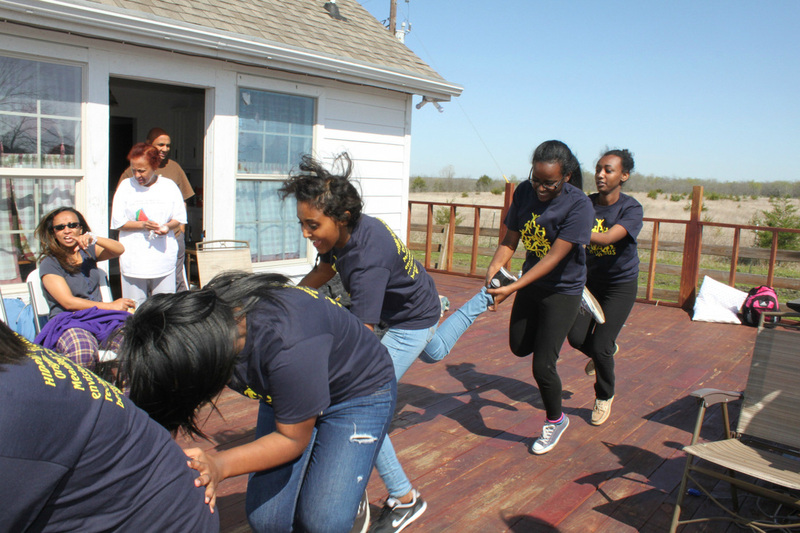 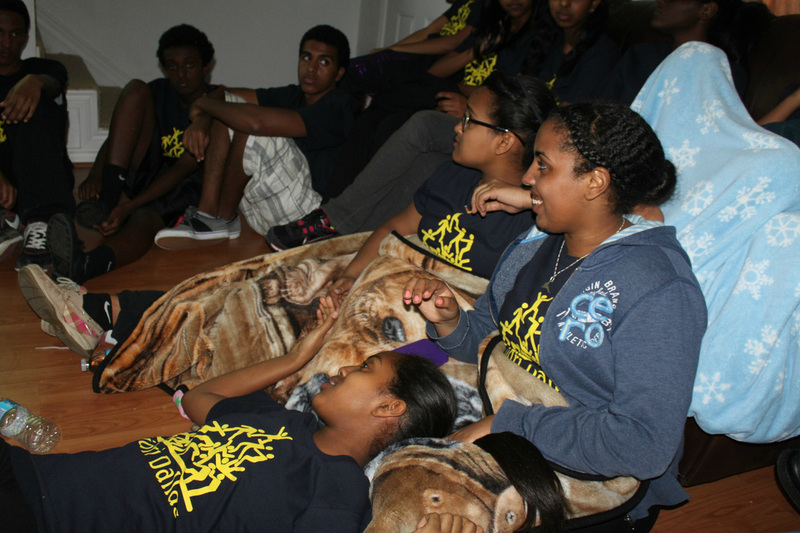 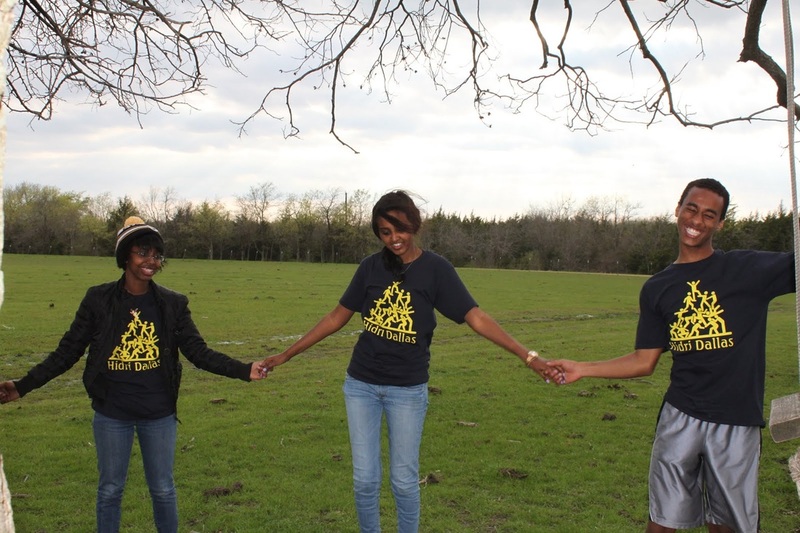 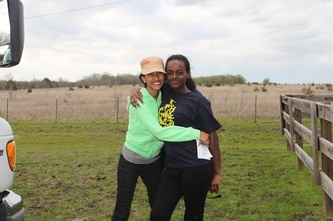 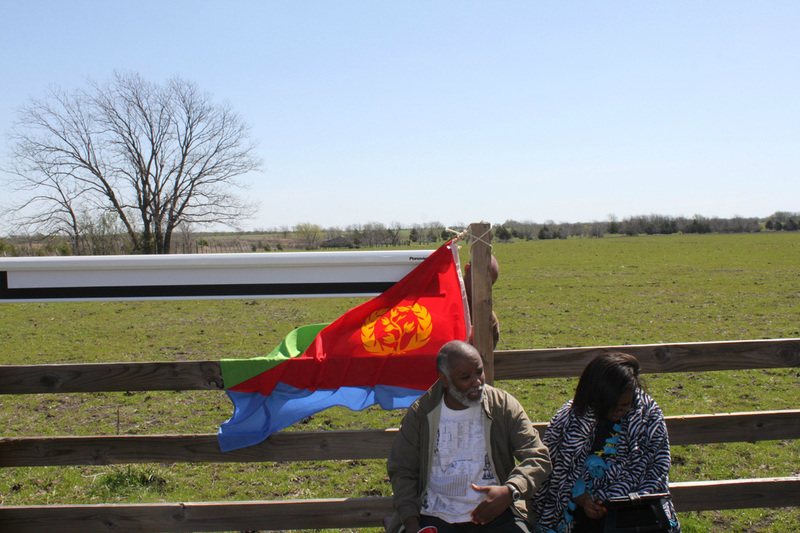 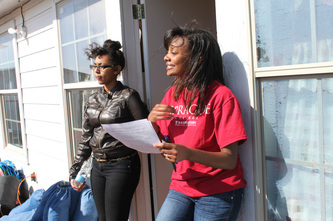 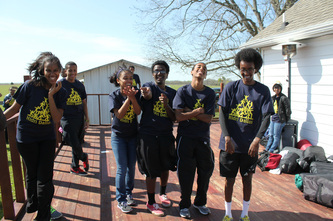 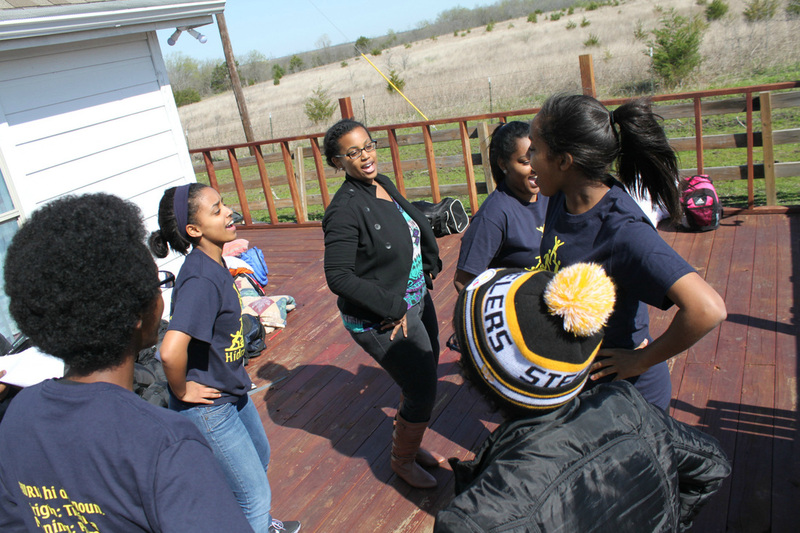 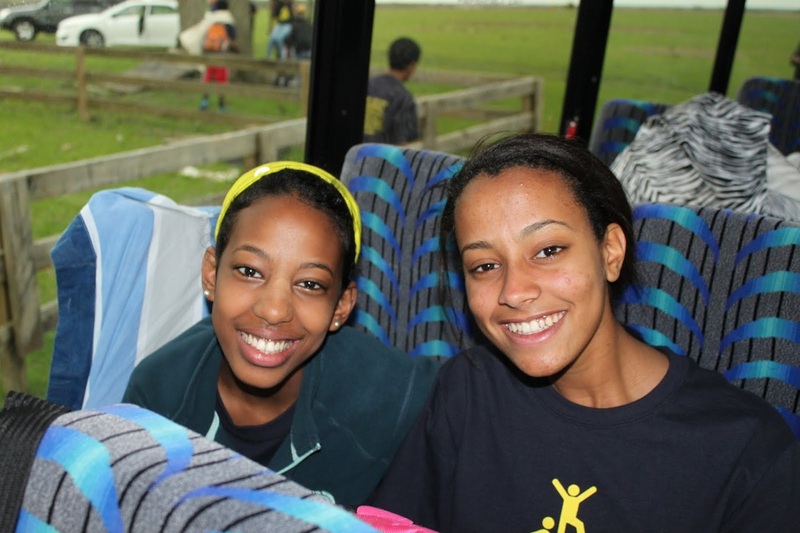 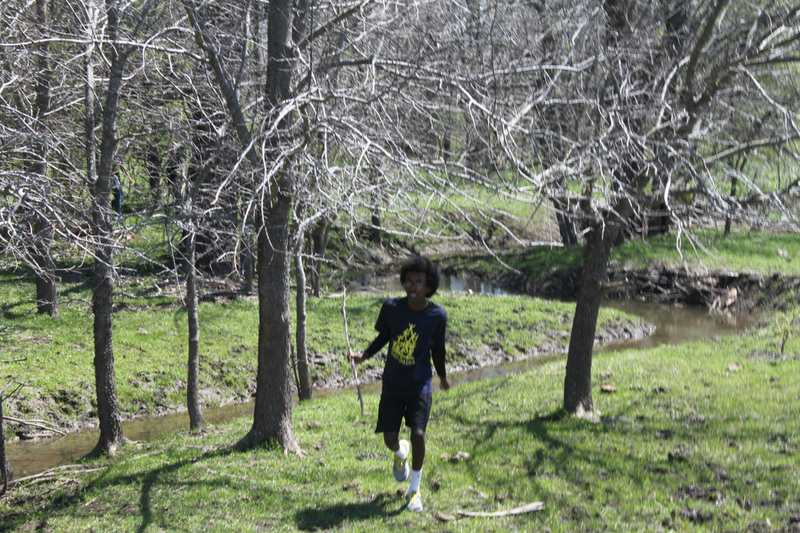 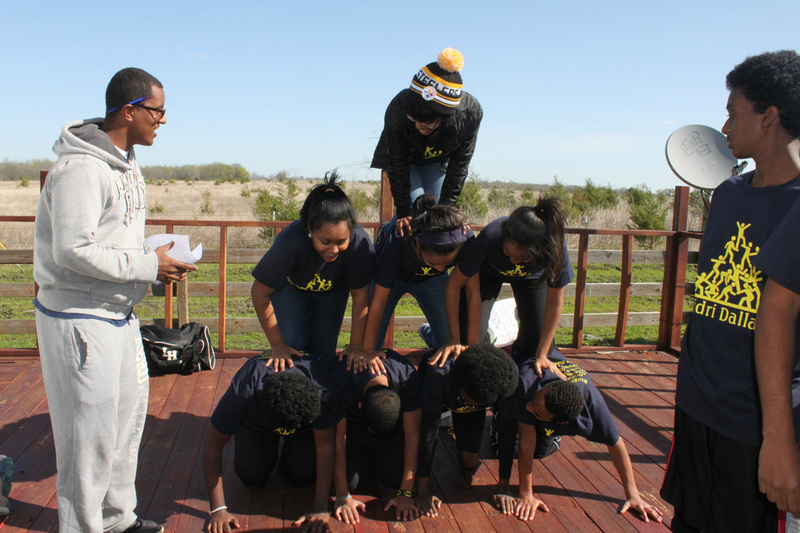 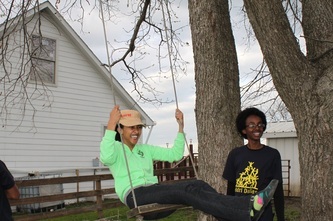 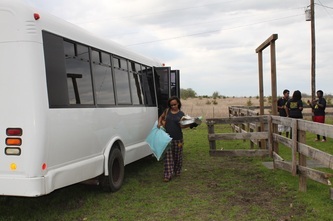 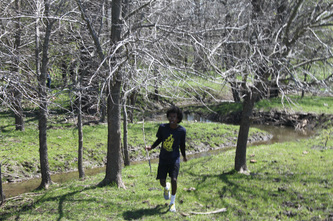 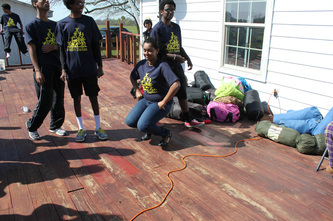 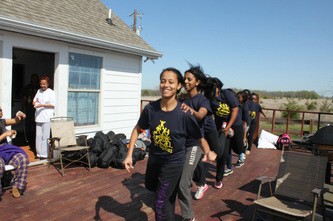 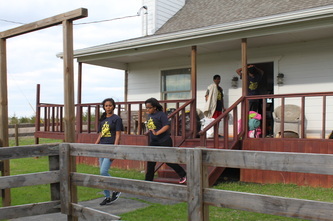 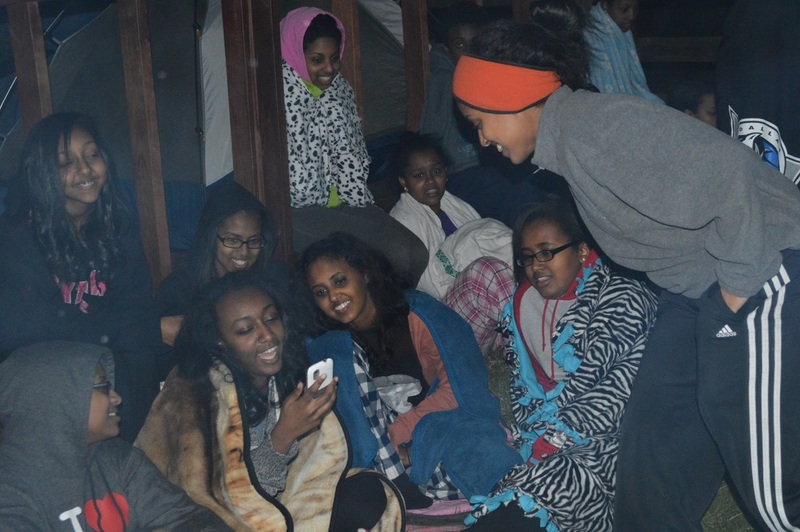 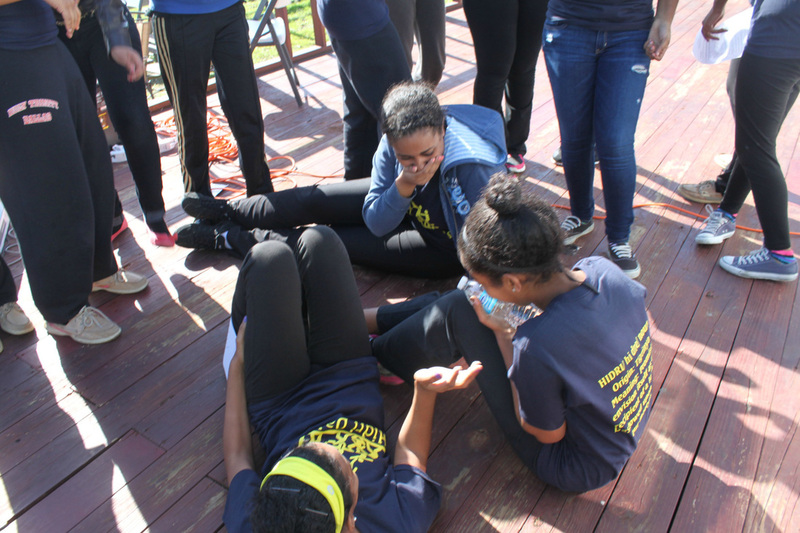 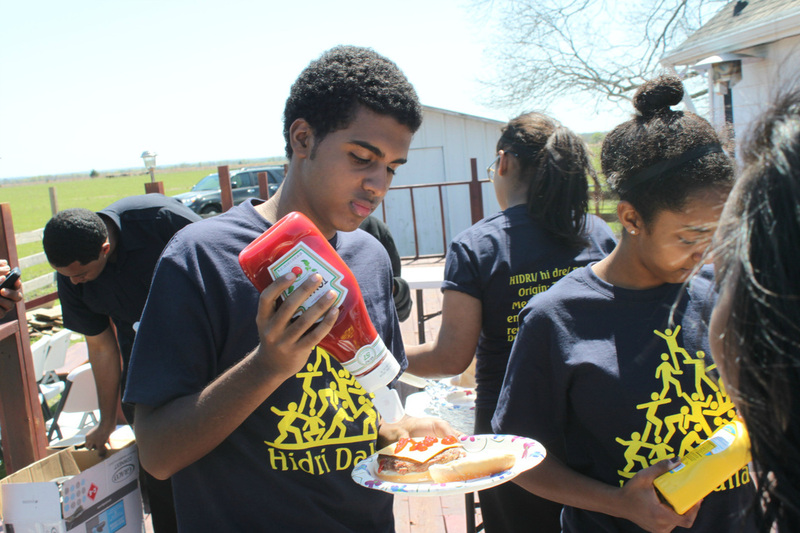 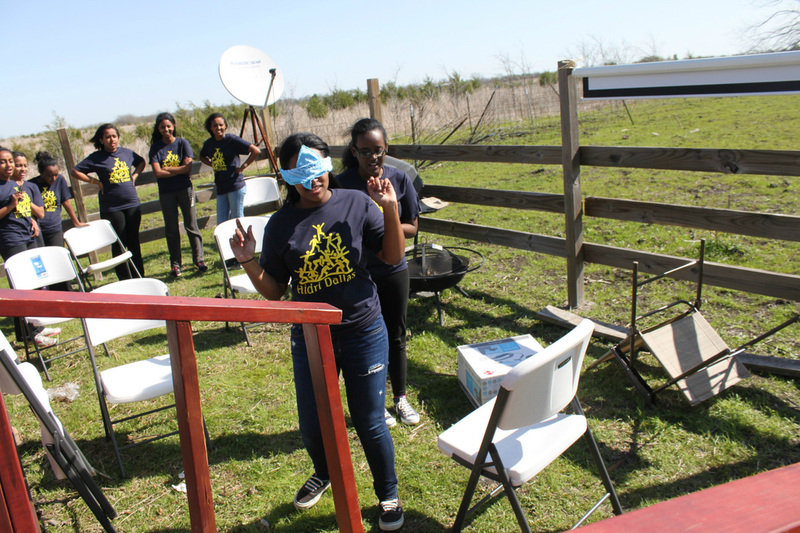 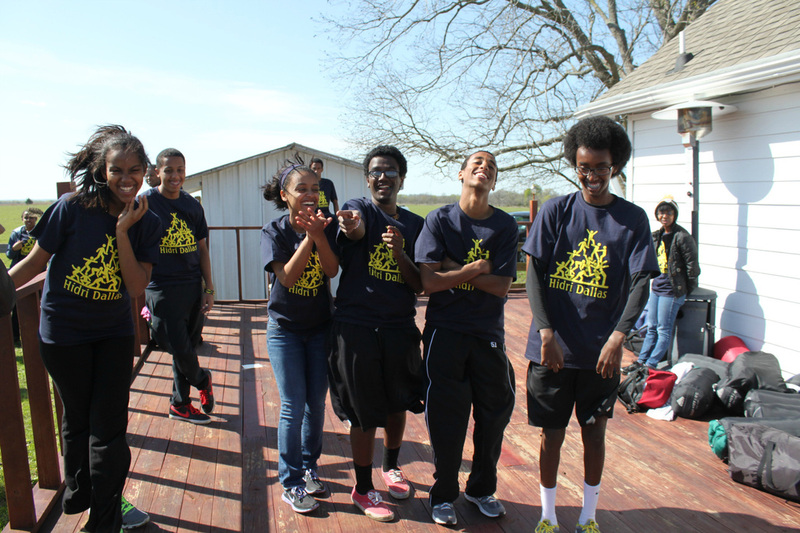 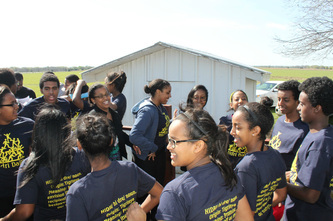 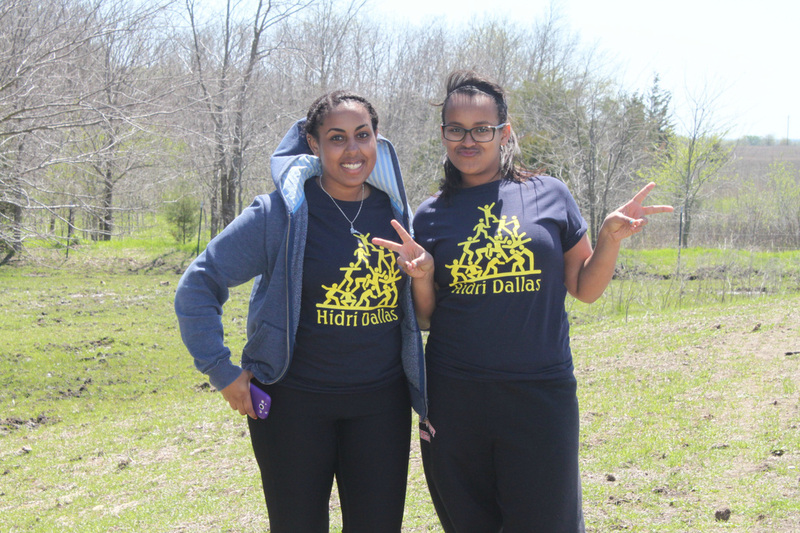 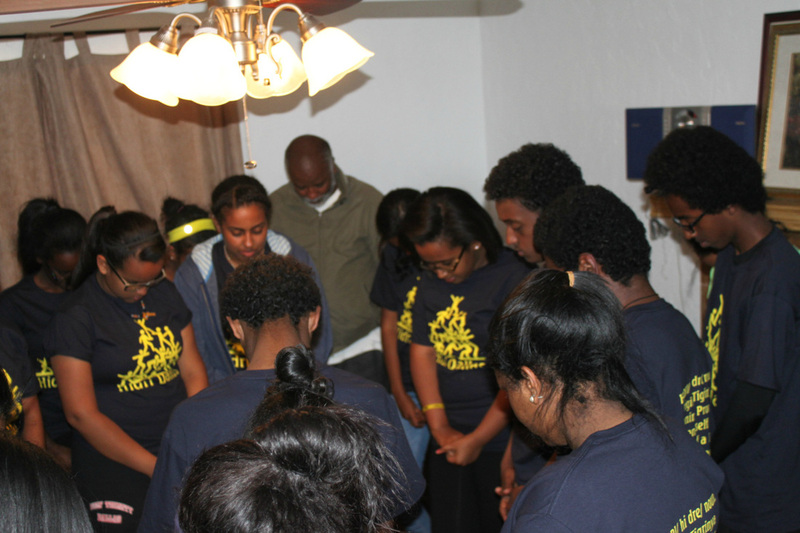 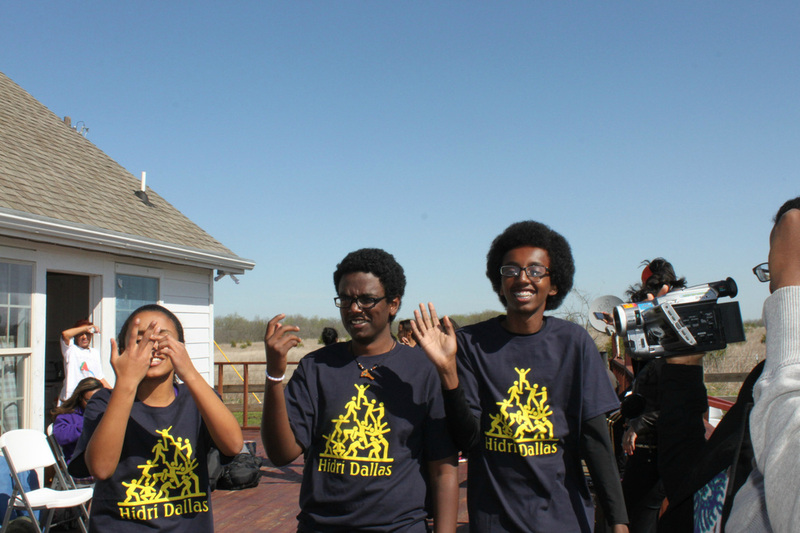 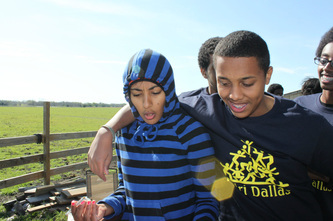 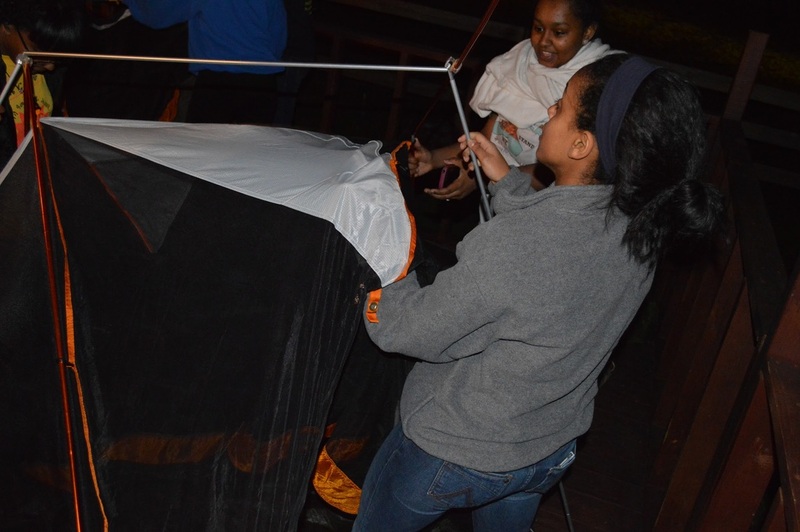 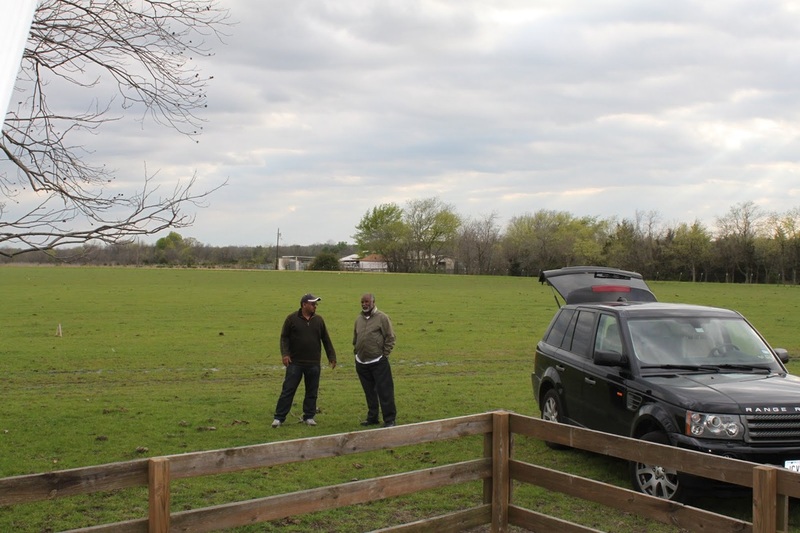 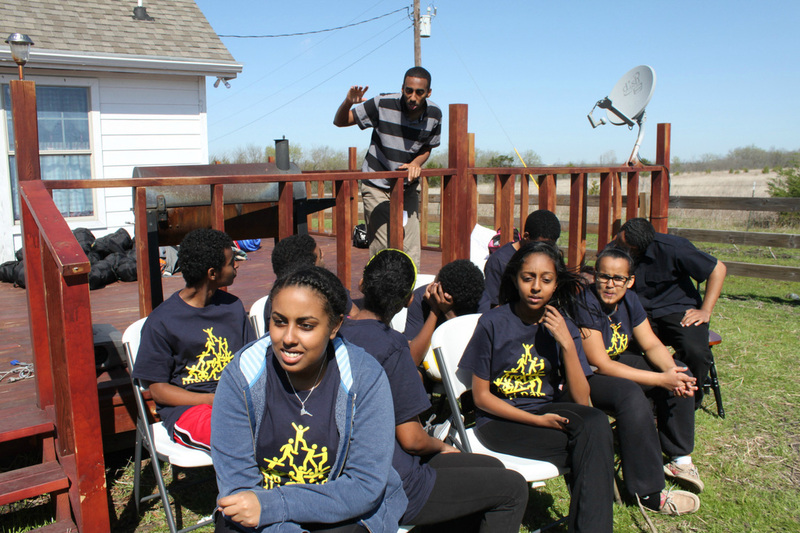 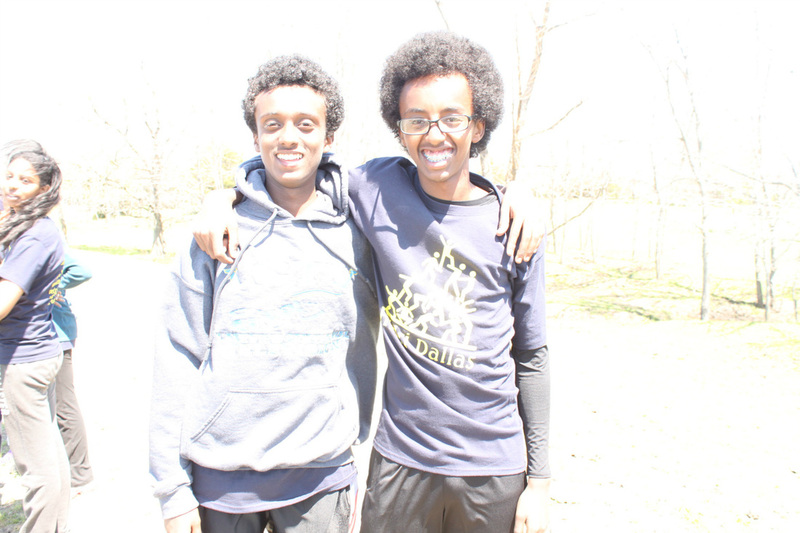 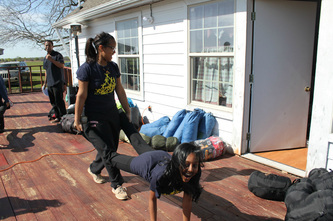 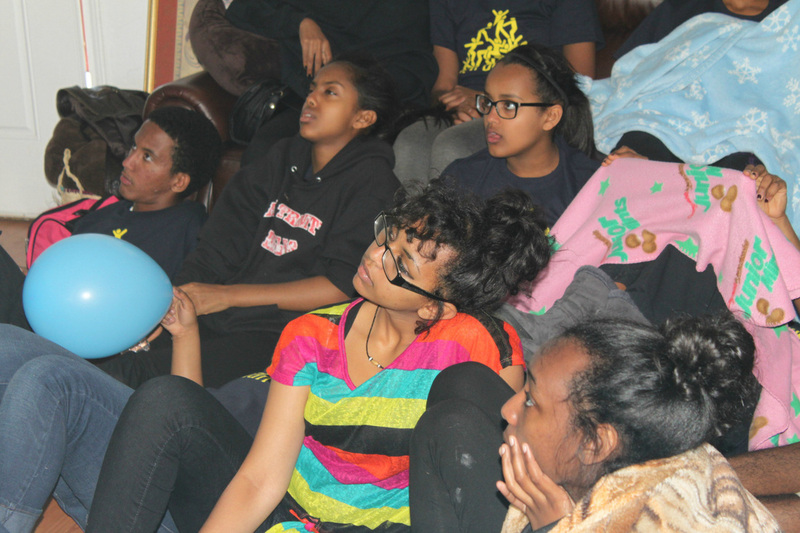 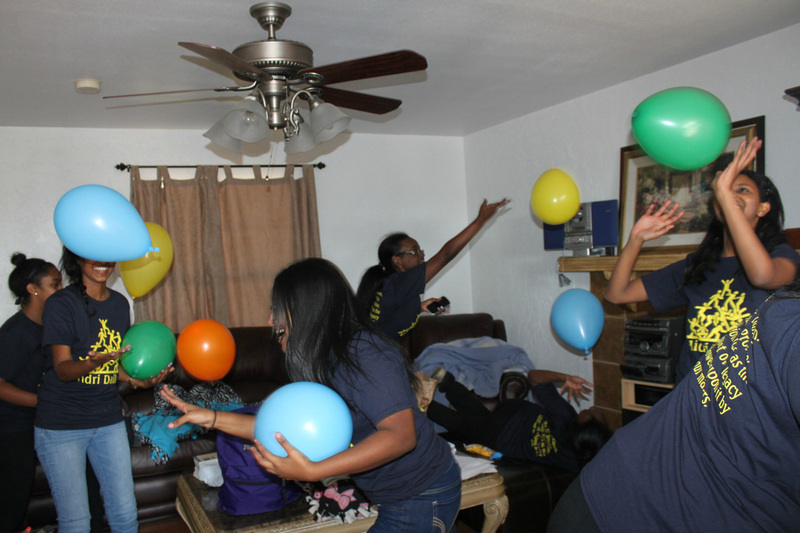 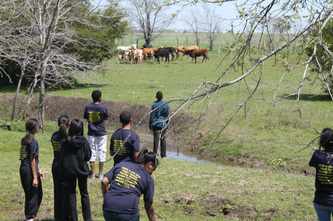 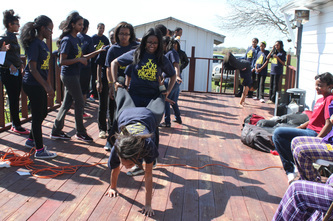 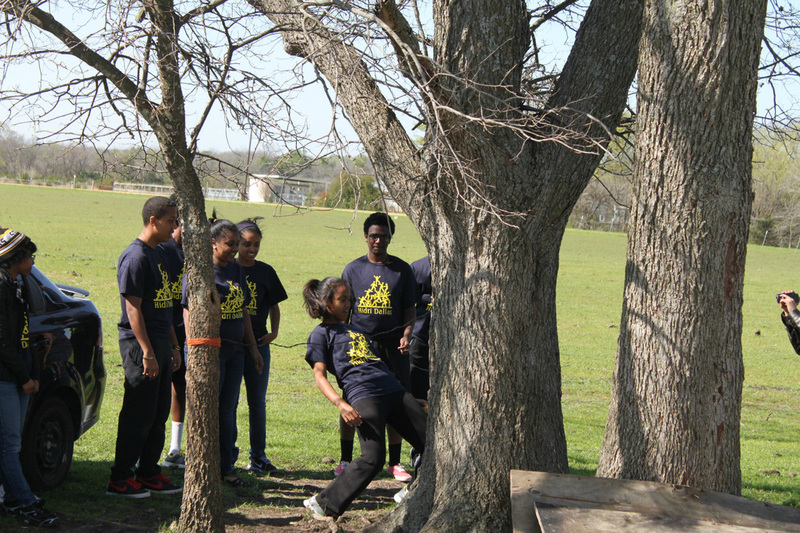 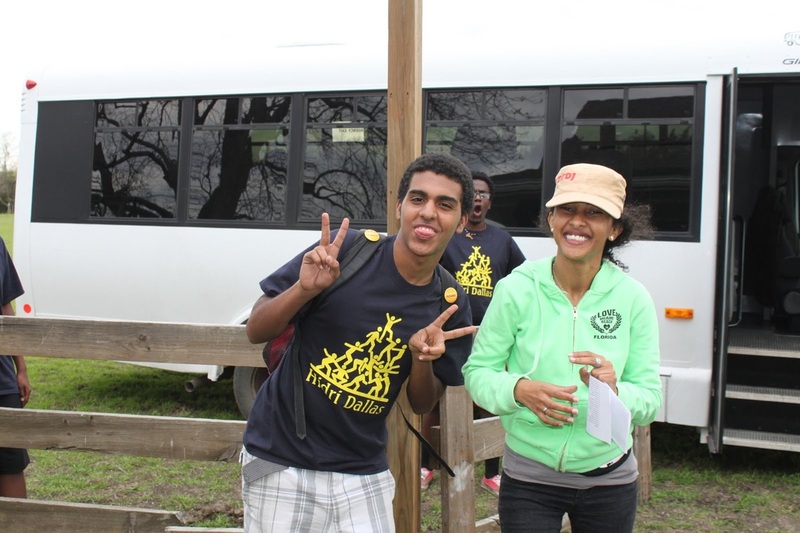 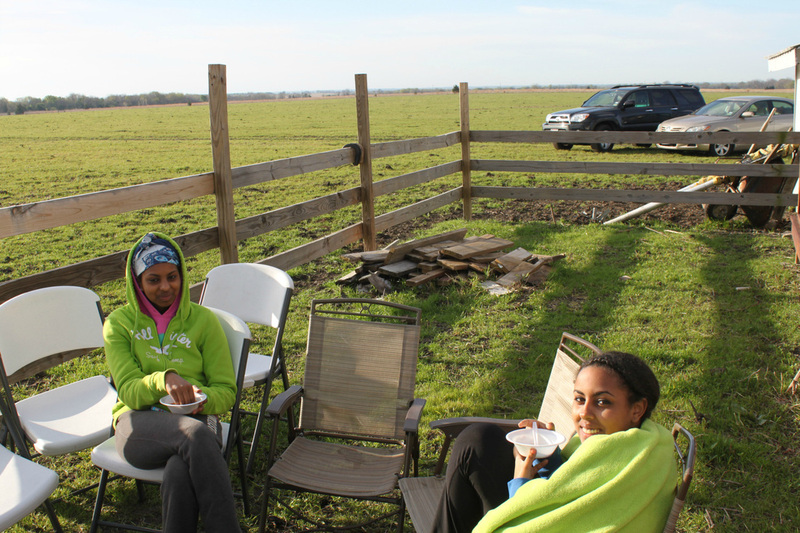 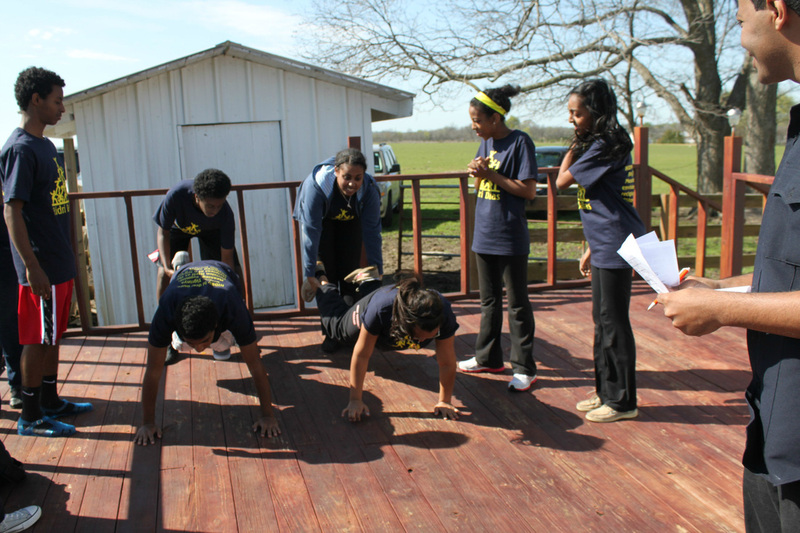 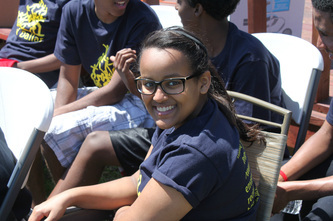 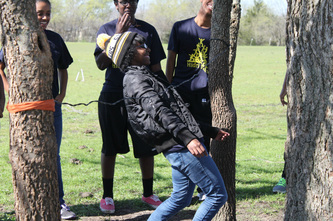 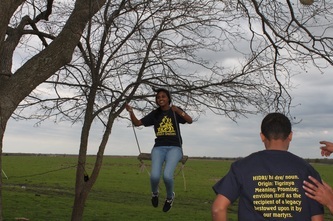 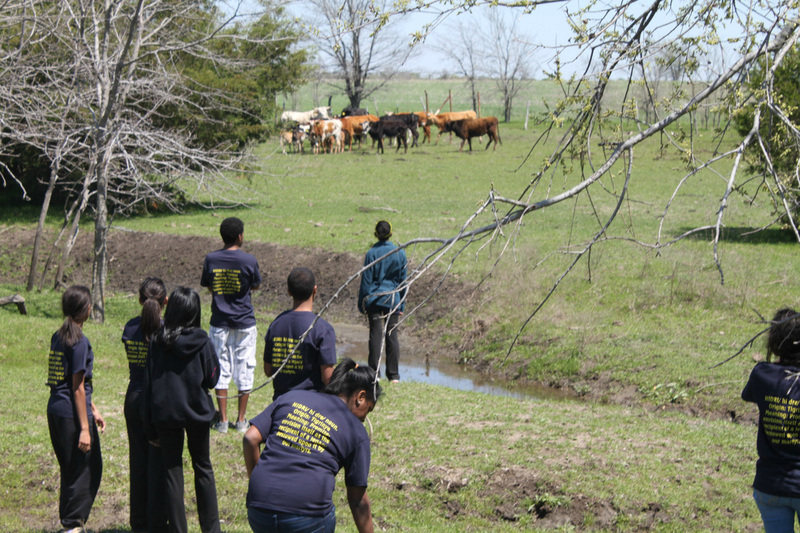 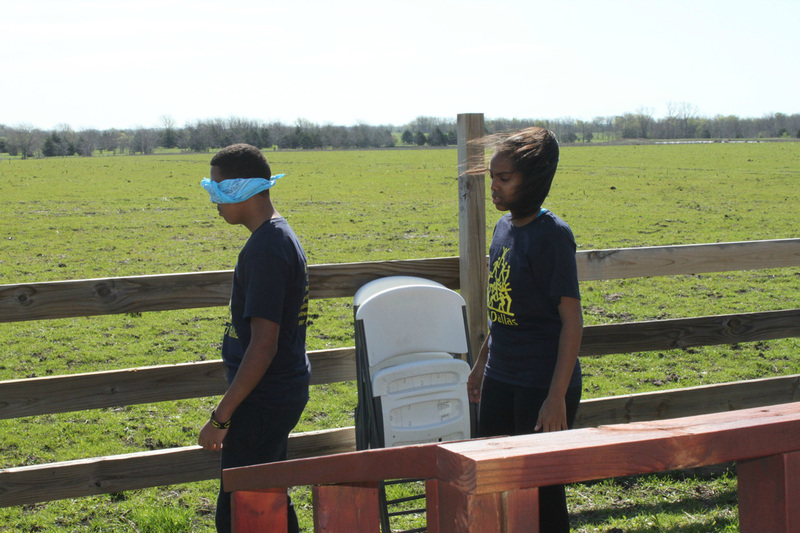 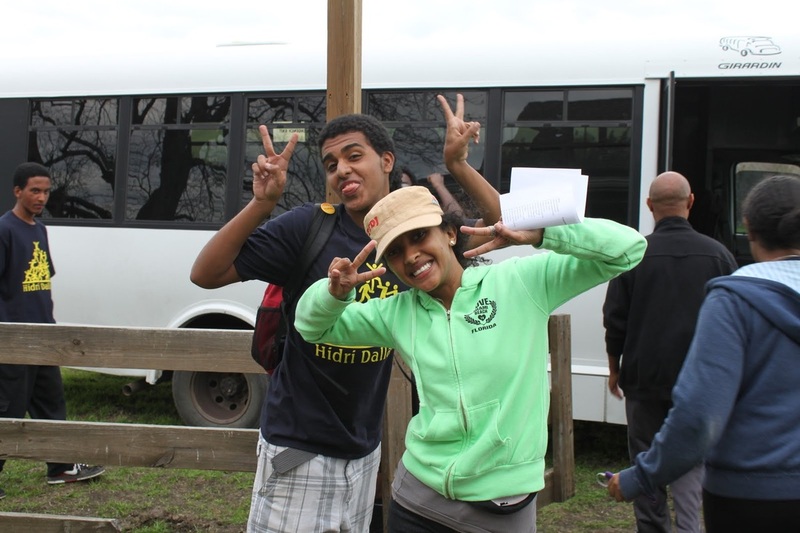 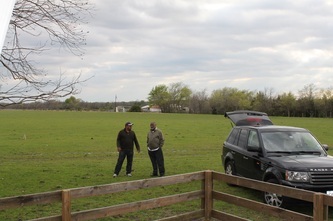 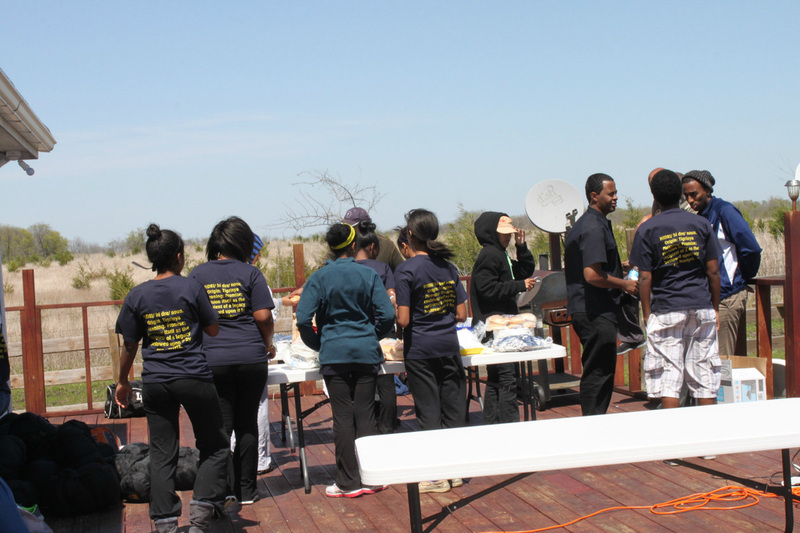 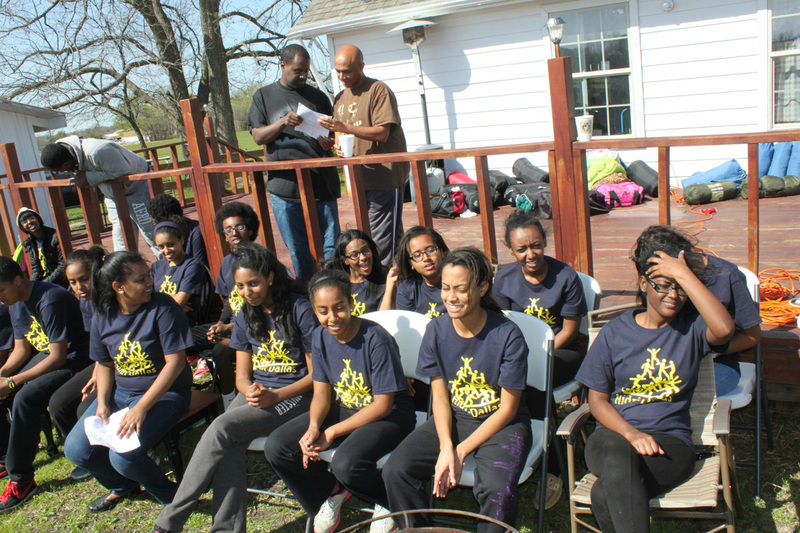 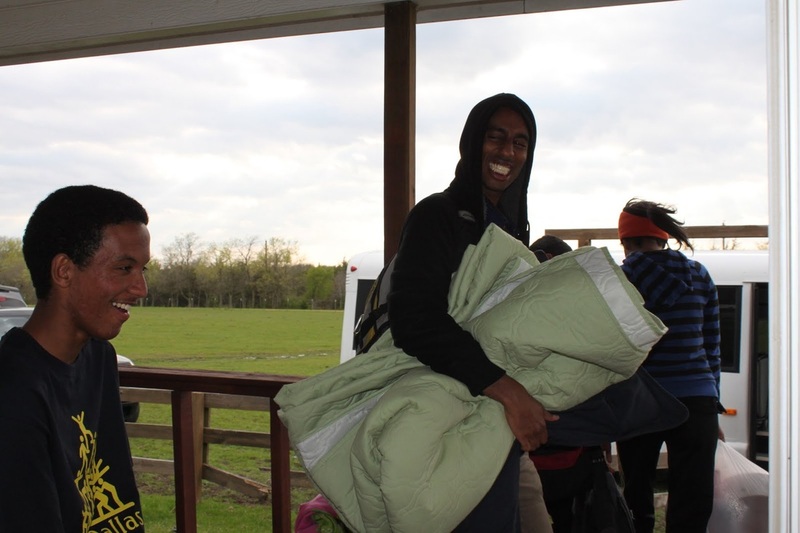 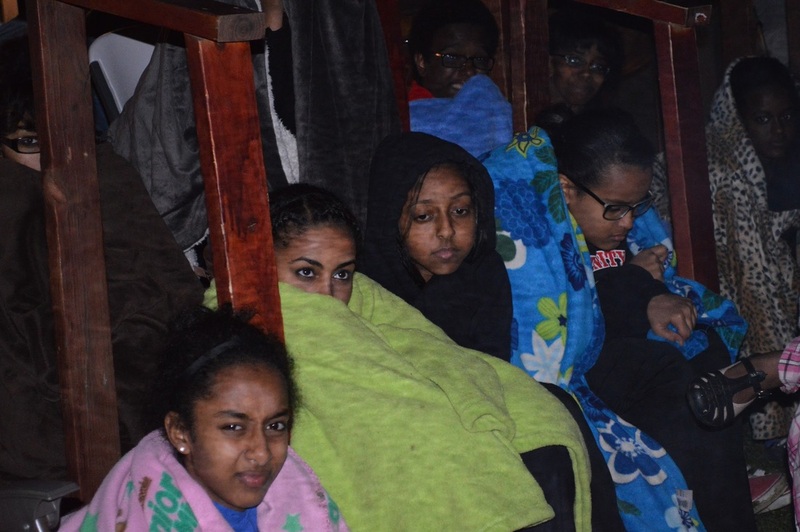 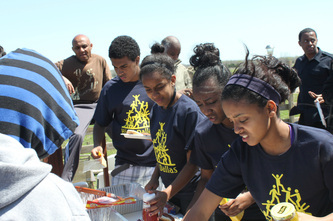 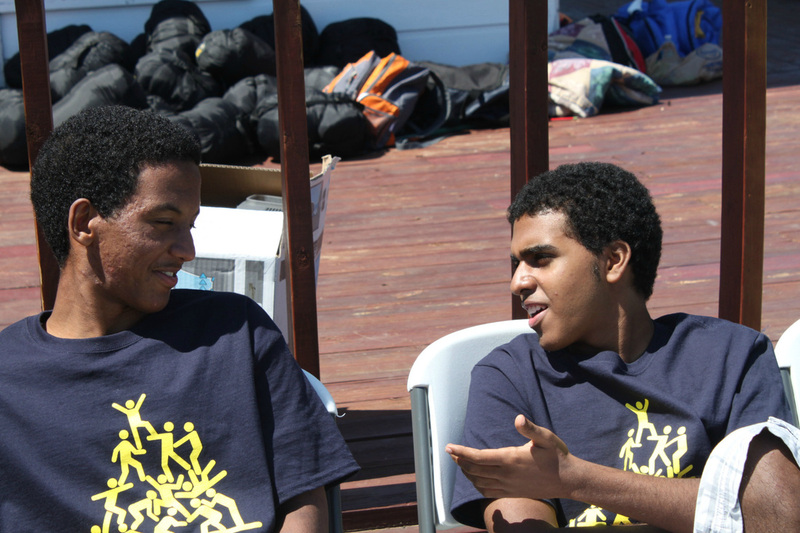 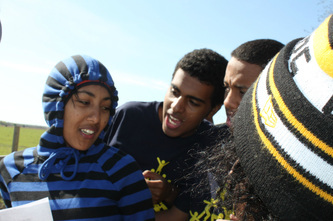 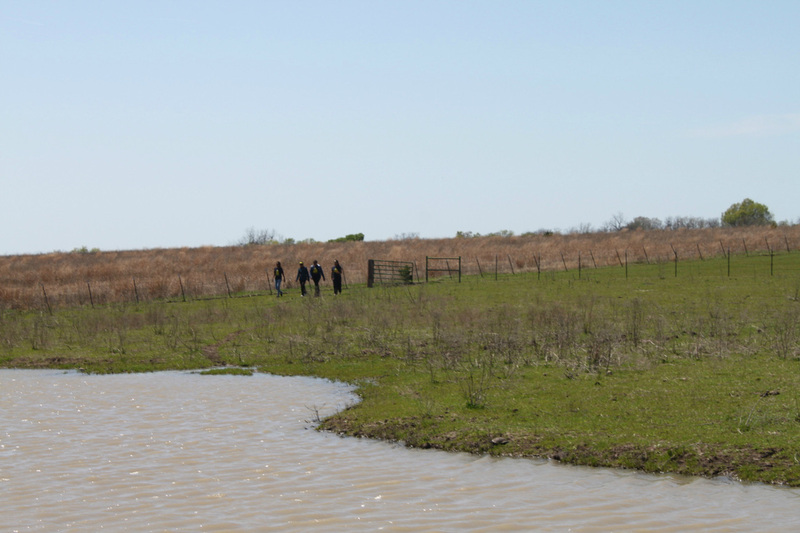 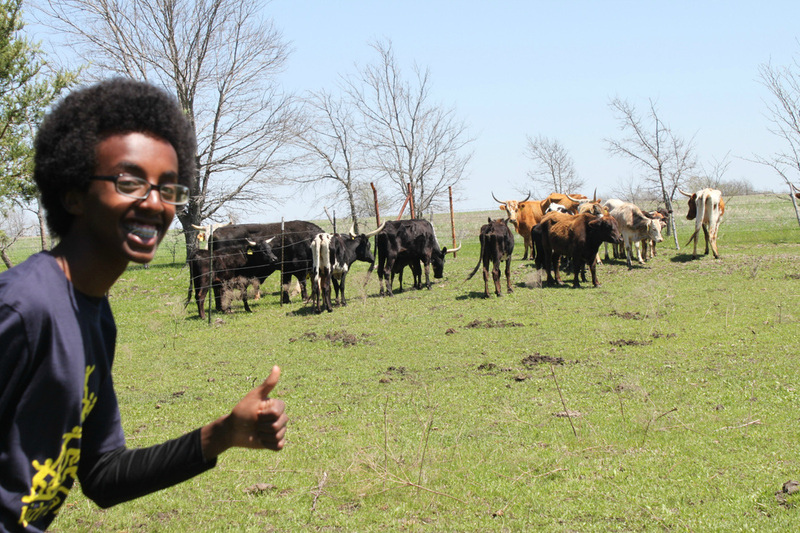 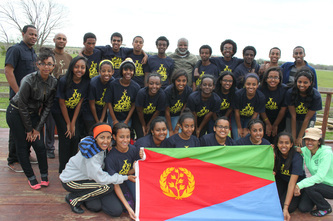 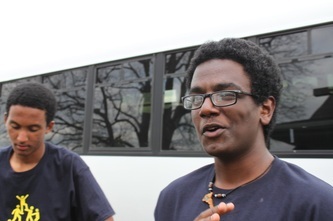 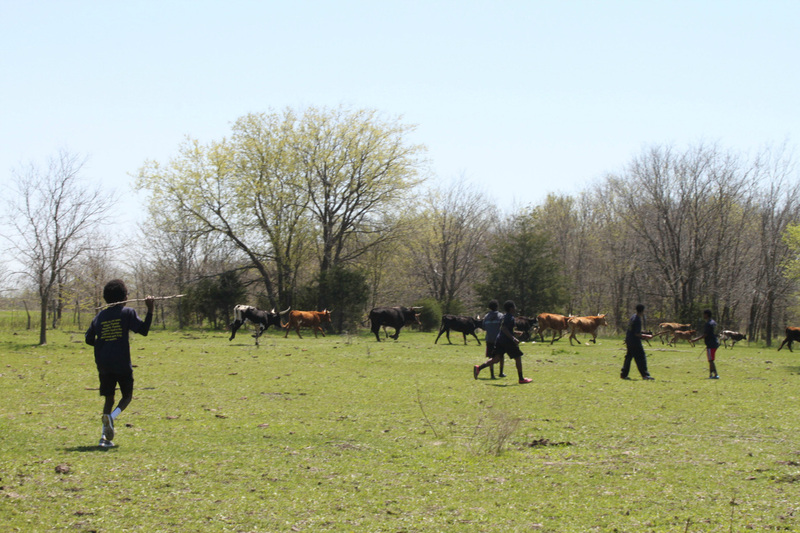 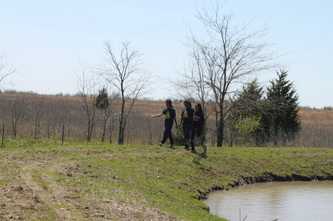 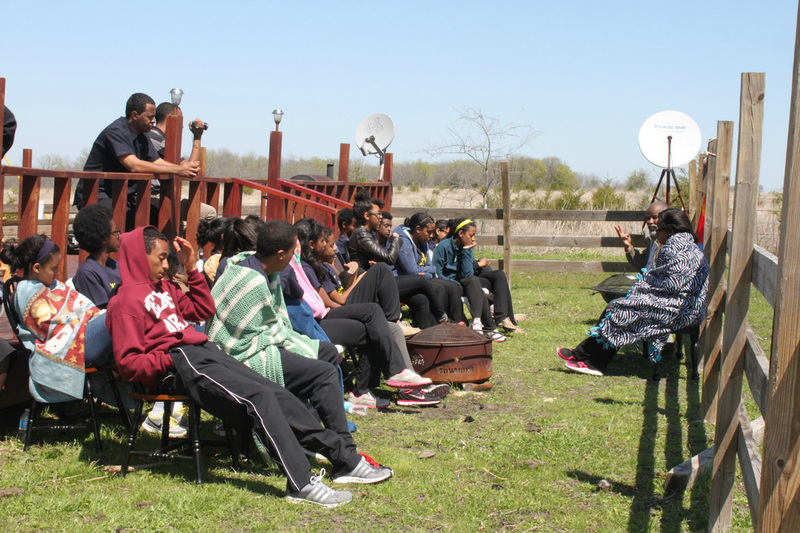 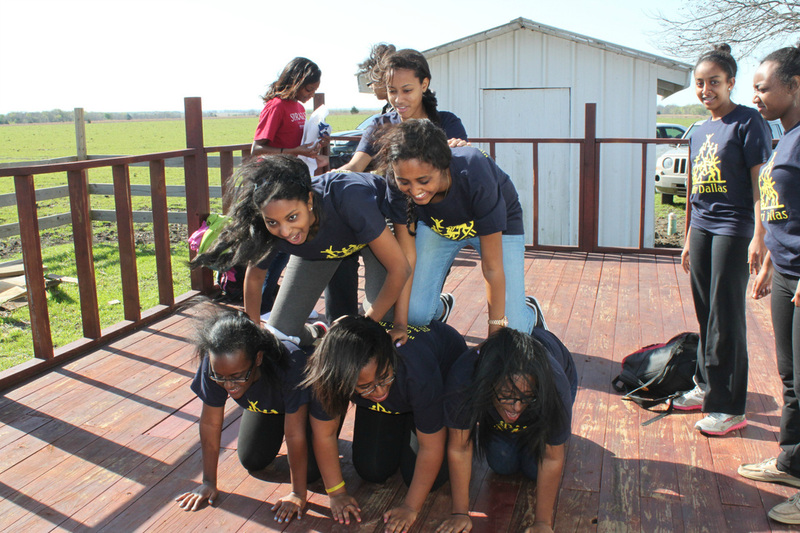 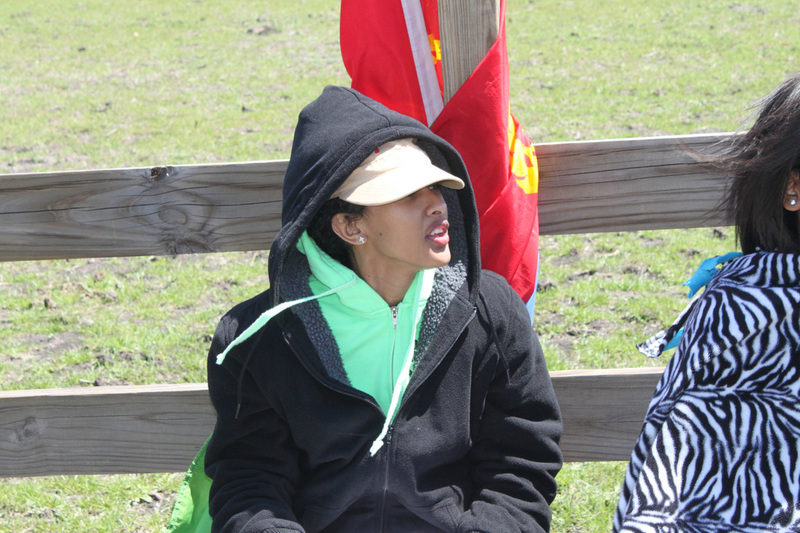 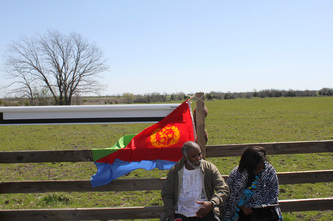 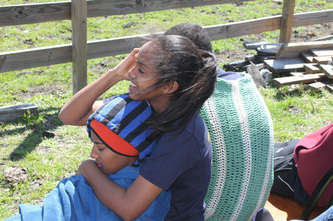 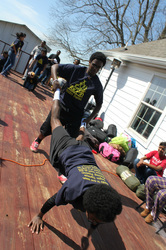 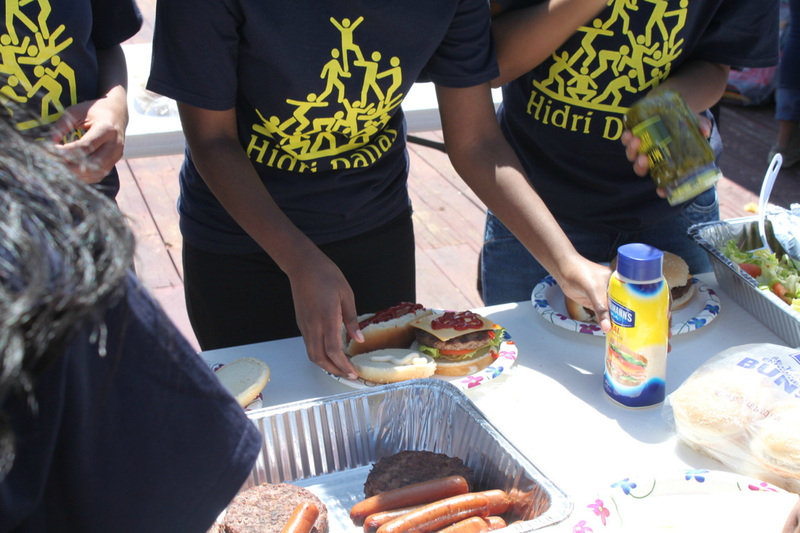 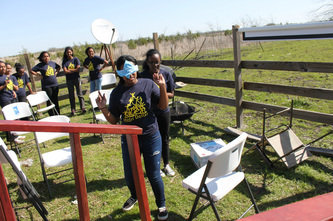 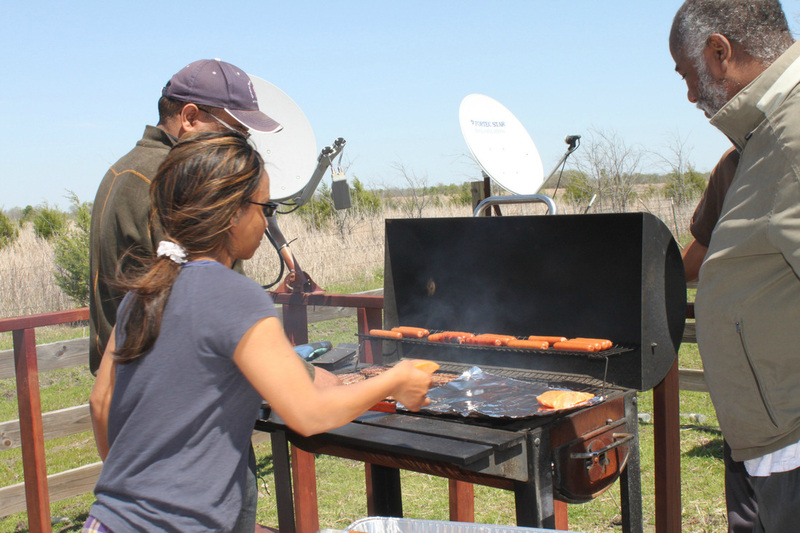 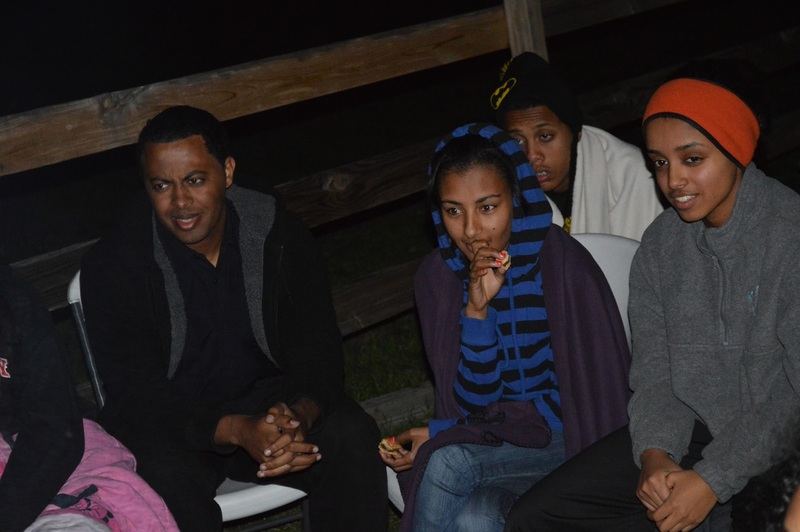 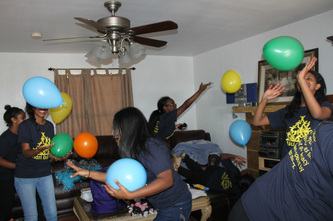 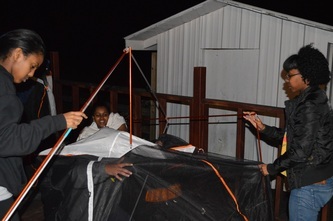 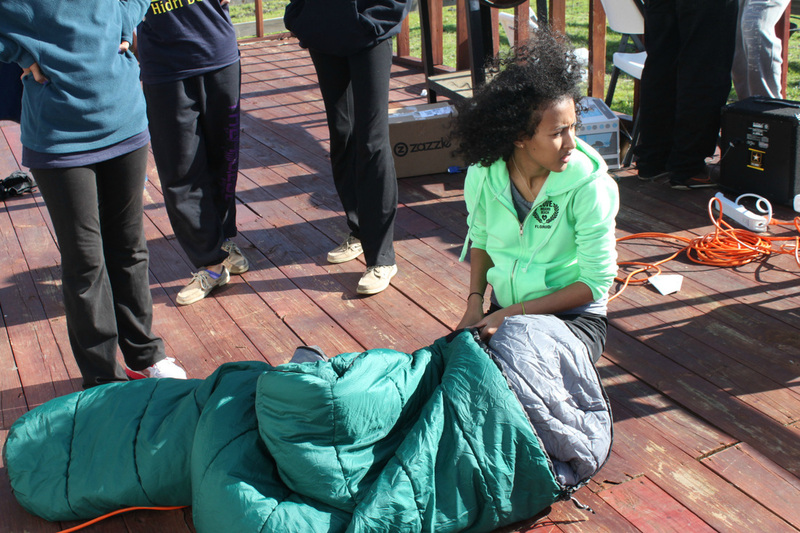 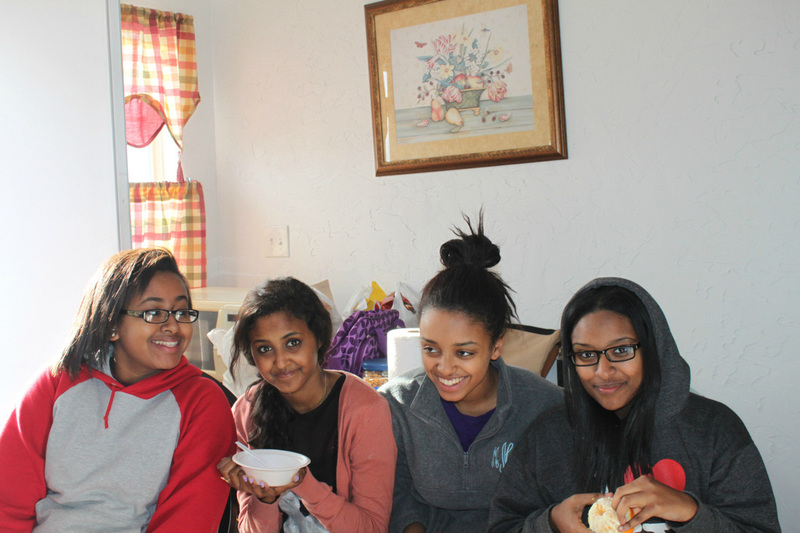 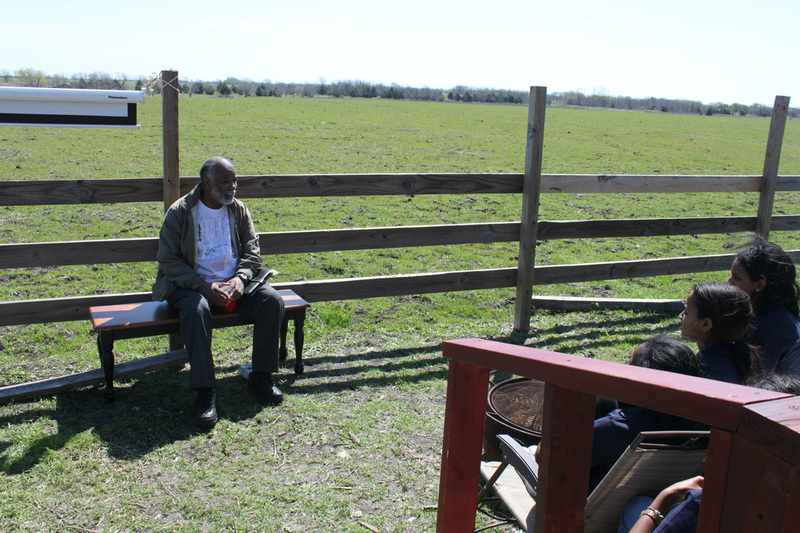 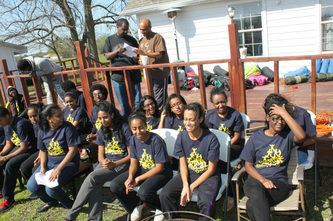 On April 5th & 6th 2013, YPFDJ/HIDRI Dallas hosted the Second Annual History retreat “History Of our Times,” a two day retreat that was designed to unite the youth in Dallas through the bond that ties all of us together - our history, the past, present & future. Last year the workshop focused on covering Eritrean history from Origin to Pre-colony to Arm struggle. 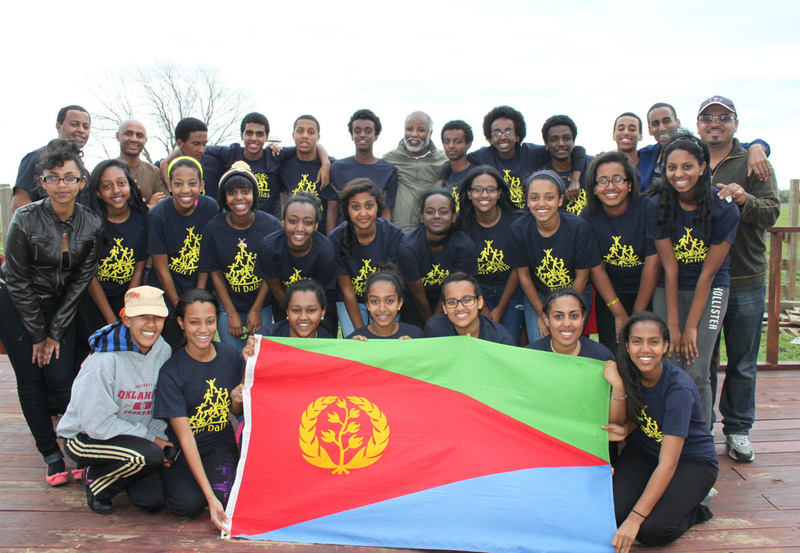 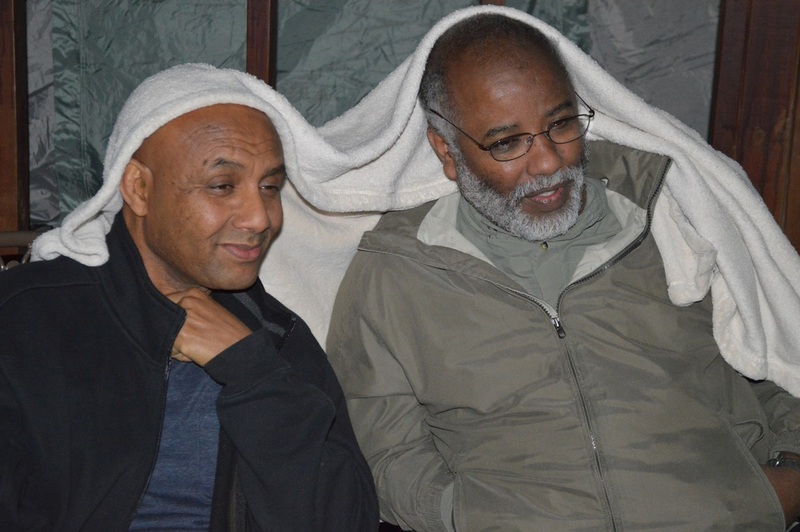 This year's workshop focused on Eritrea post-independence, as well as teaching HIDRI the importance of Bisaynet (camaraderie), Tewfiynet (Sacrifice) and Tseawrnet (tolerance). 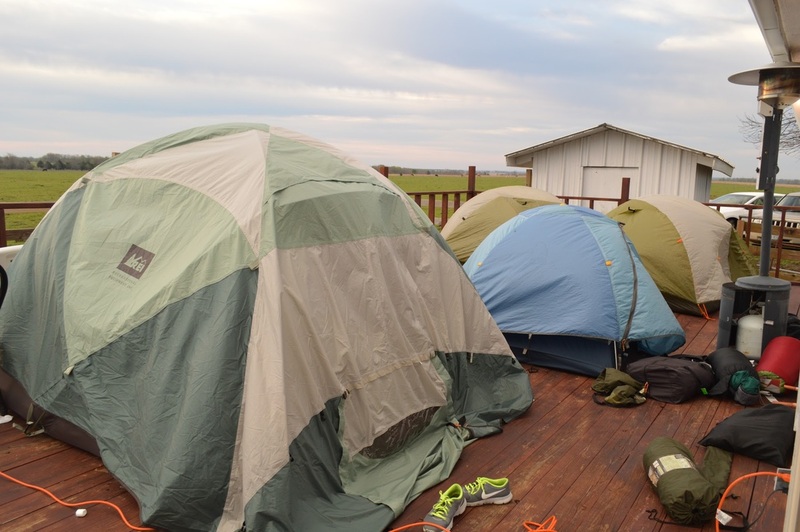 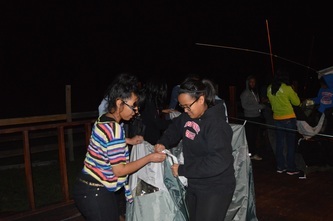 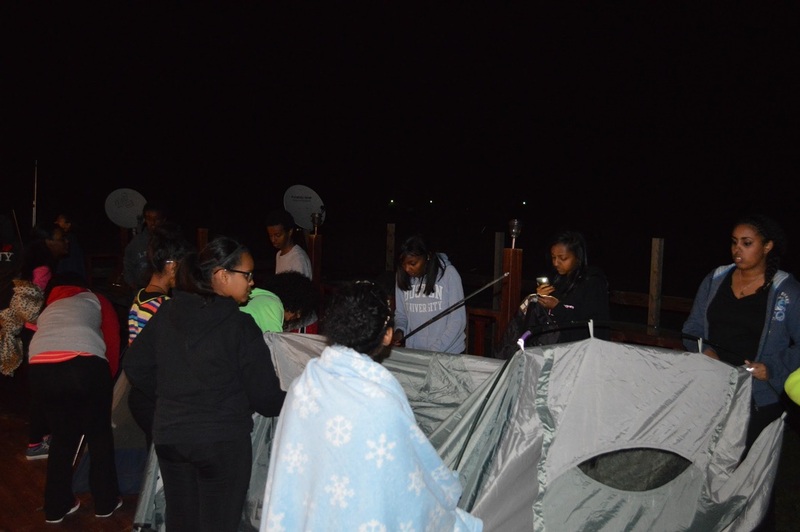 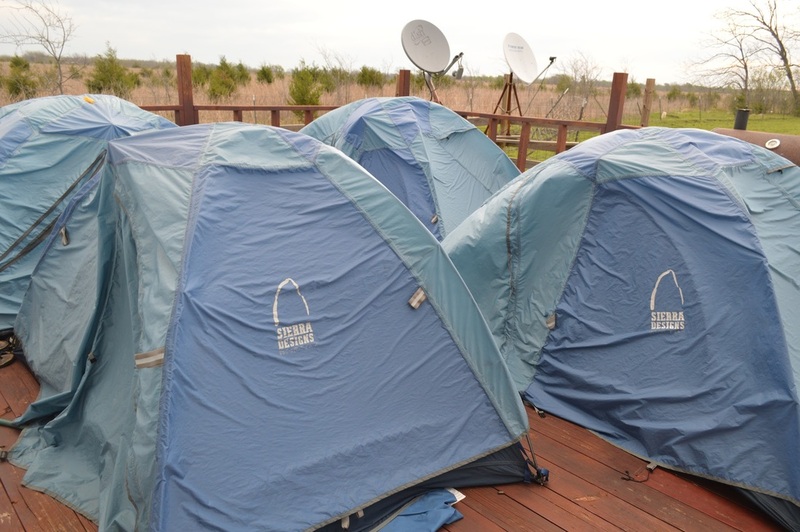 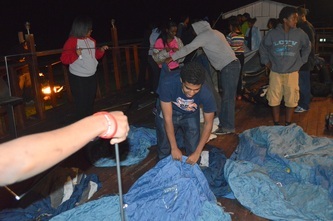 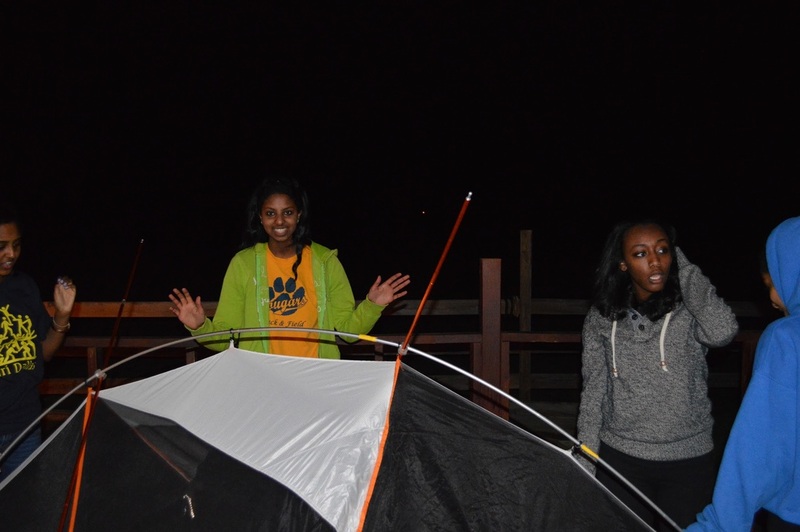 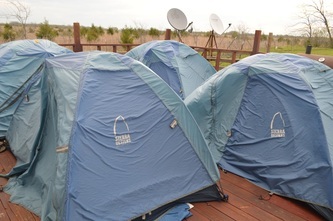 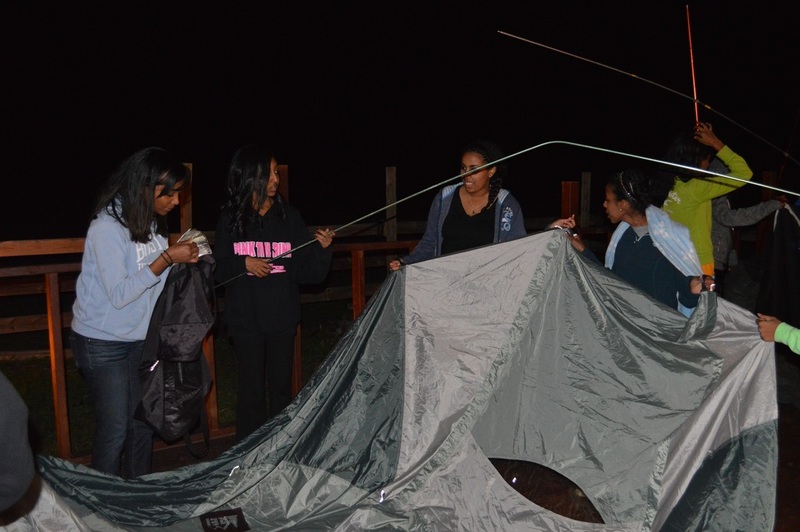 Day one of the retreat started off with getting into groups and setting up tents, an exercise that was intended to teach the art of communication and working as a team. 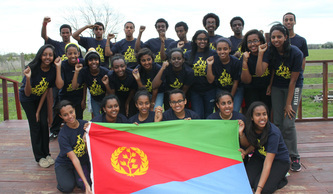 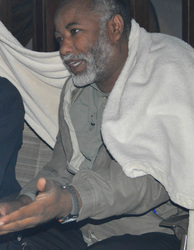 This exercise was followed by a Movie Night, where we watched the documentary about Thomas Sankara: “The Upright Man”. 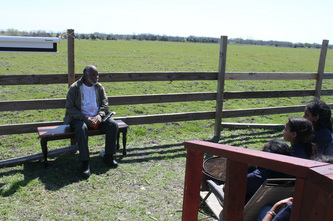 Sankara was known as "the African Che", and became famous in Africa due to his innovative ideas, his spirit, and his altruism. The documentary was a great way to expose all of us to a glimpse of African history. 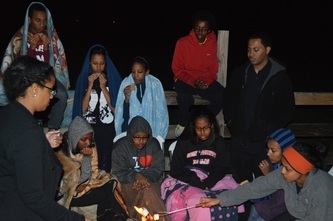 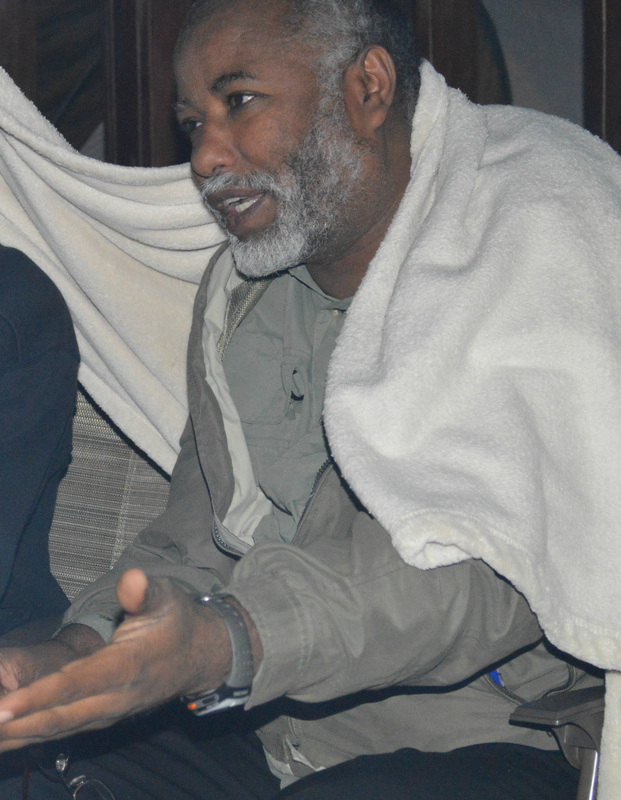 Following the documentary we began our bonfire discussion with Dr. Ghidewon, where HIDRI was able to openly discuss what they learned from the documentary, what similarities they saw between what Thomas Sankar was trying to do for his country and what Eritrea is doing now. The conversation continued with discussions on who we are as Eritreans, how we maintain our Eritrean identity and how we can help our country prosper as a whole. The night went on to our final discussion topic, “Do we have the right to privacy?” This discussion was designed to point out the importance of Social Media, the positive and negative that comes with social media, and how to deal with it. 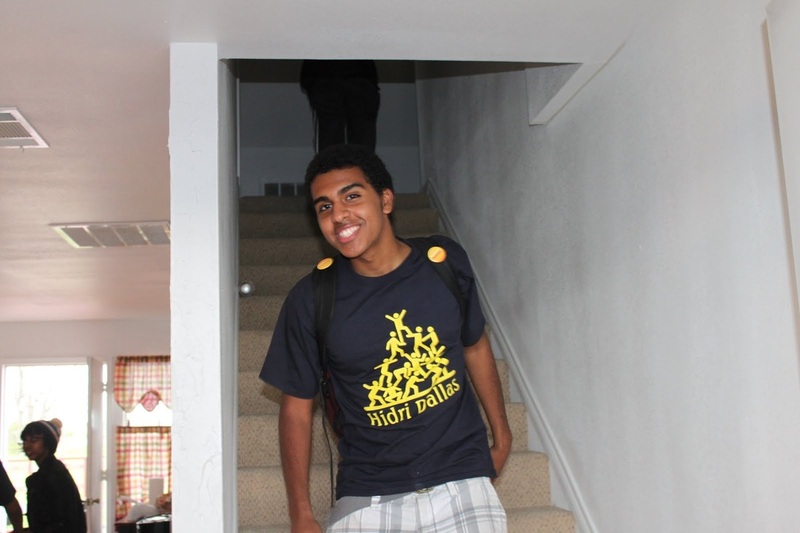 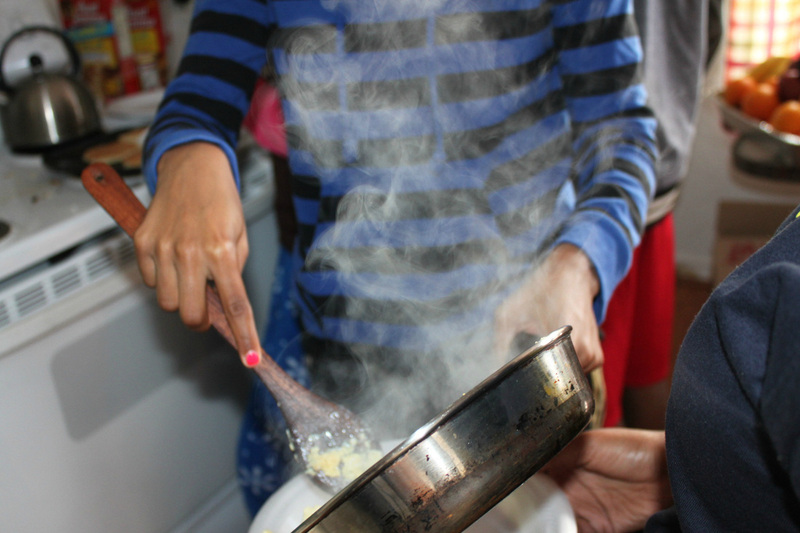 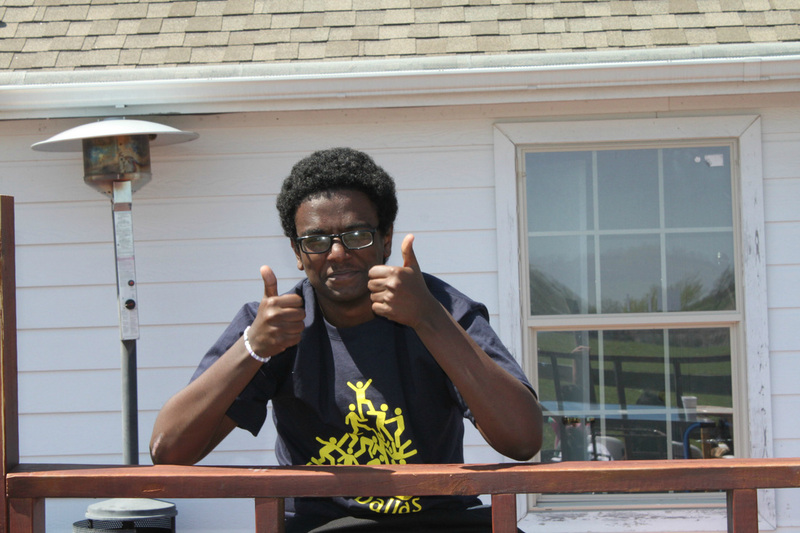 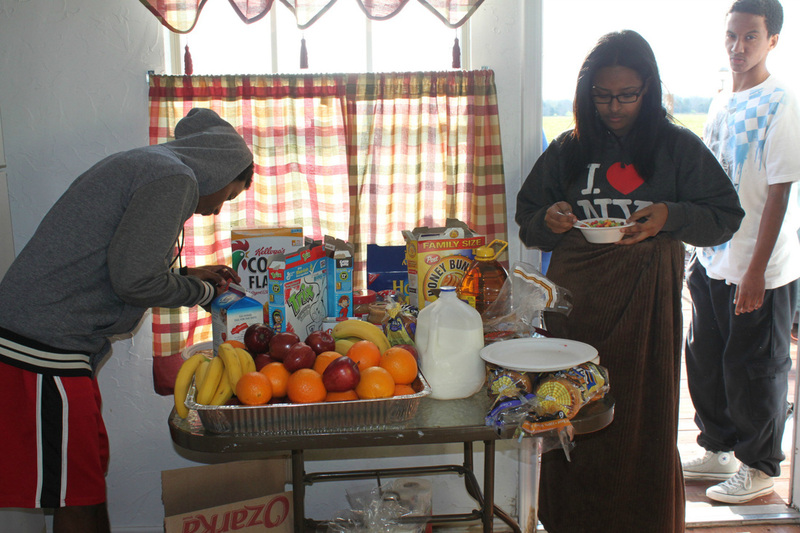 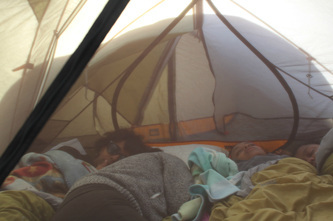 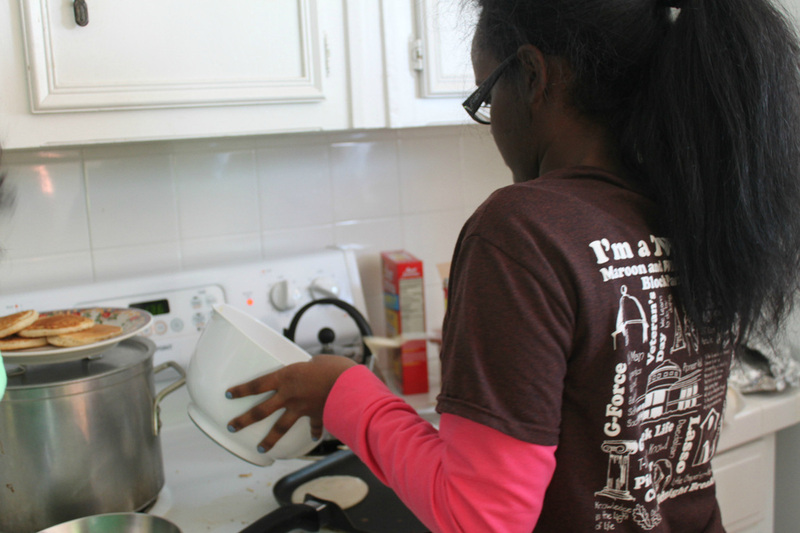 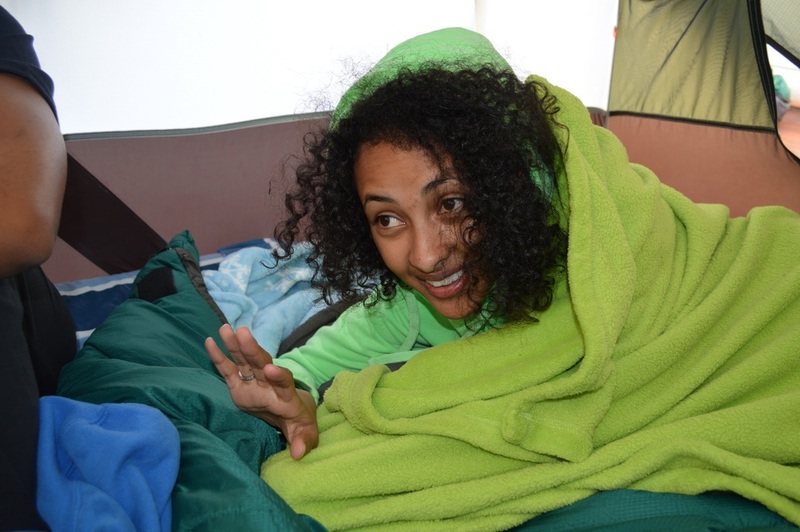 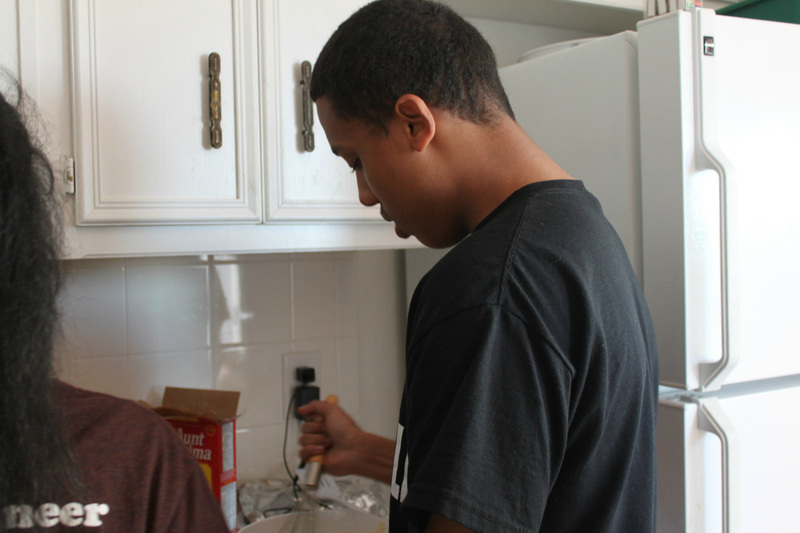 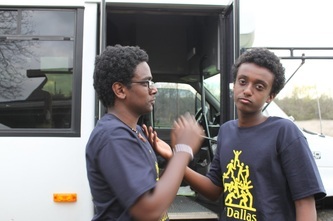 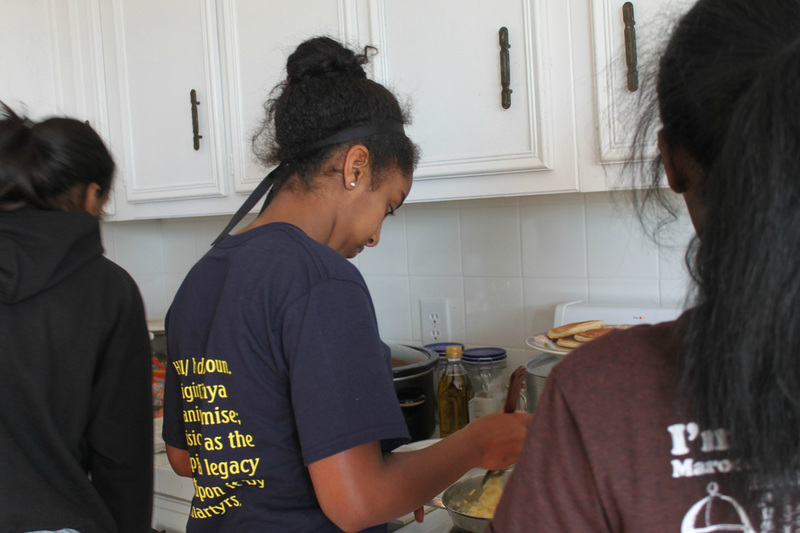 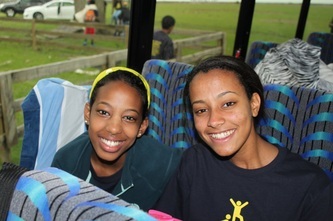 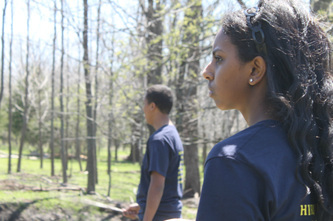 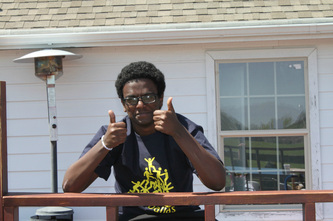 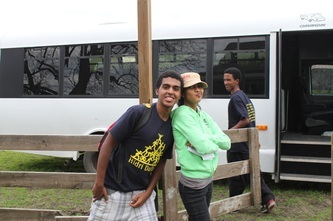 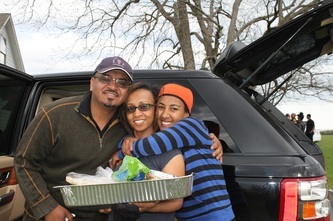 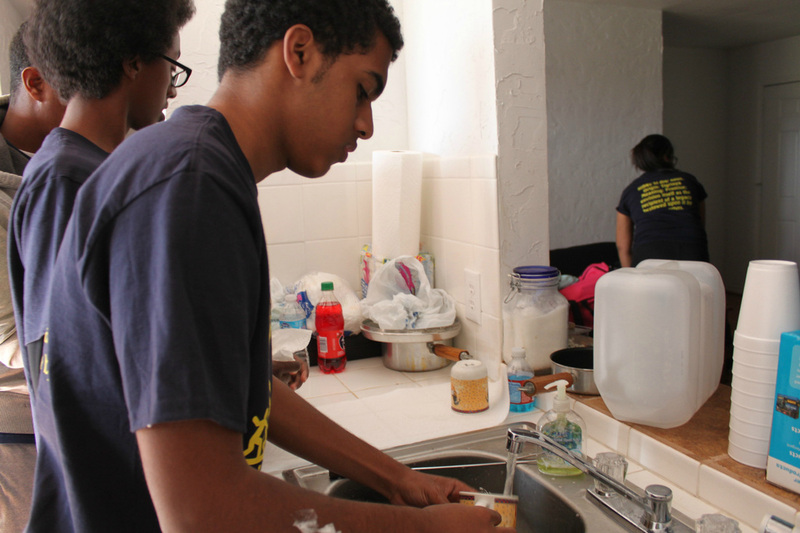 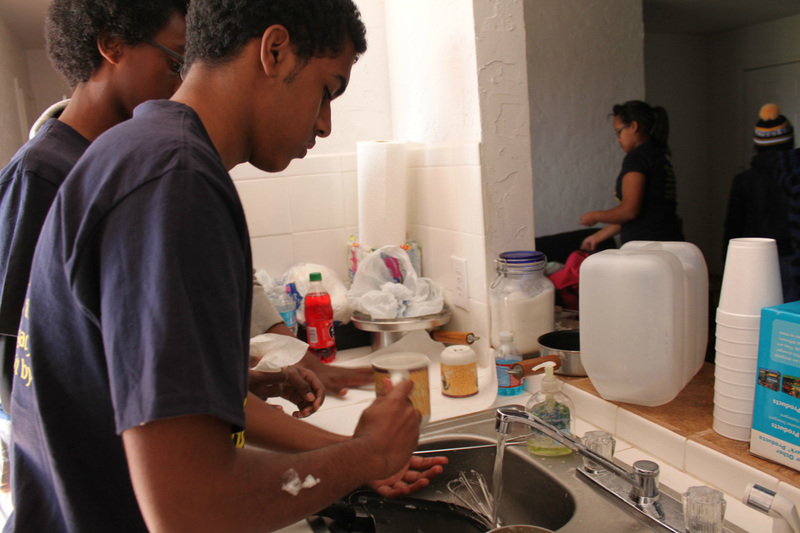 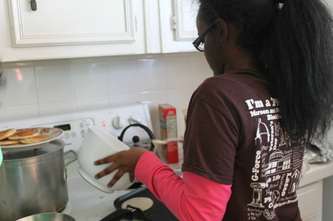 Day Two began with HIDRI waking up bright and early and preparing breakfast for one another without the help of YPFDJ. 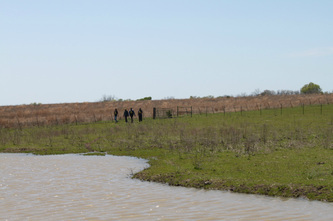 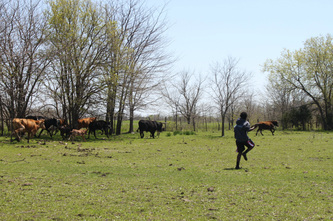 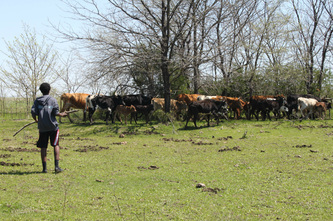 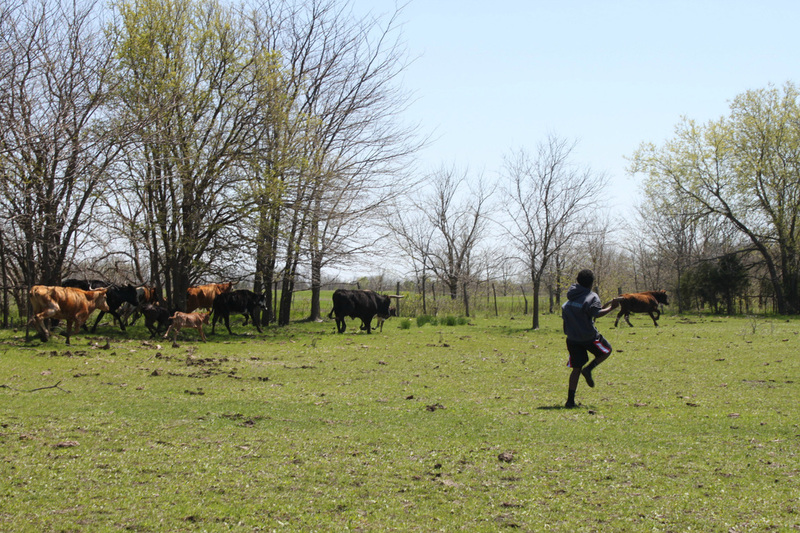 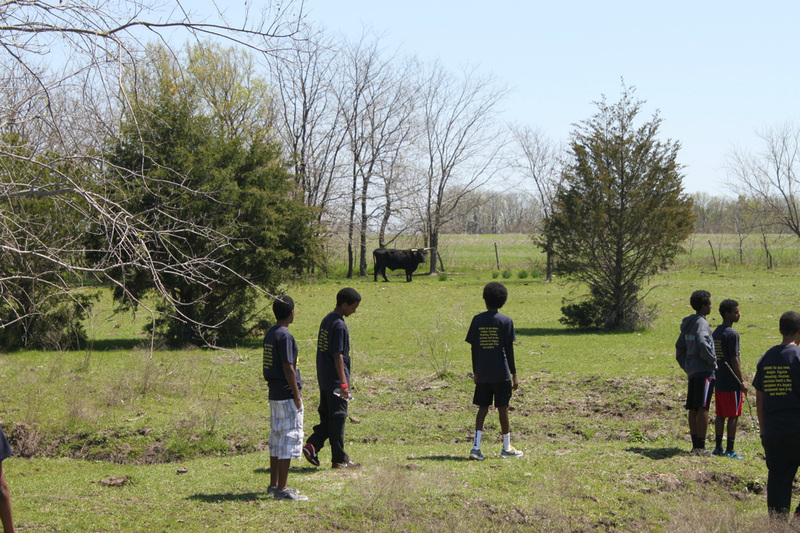 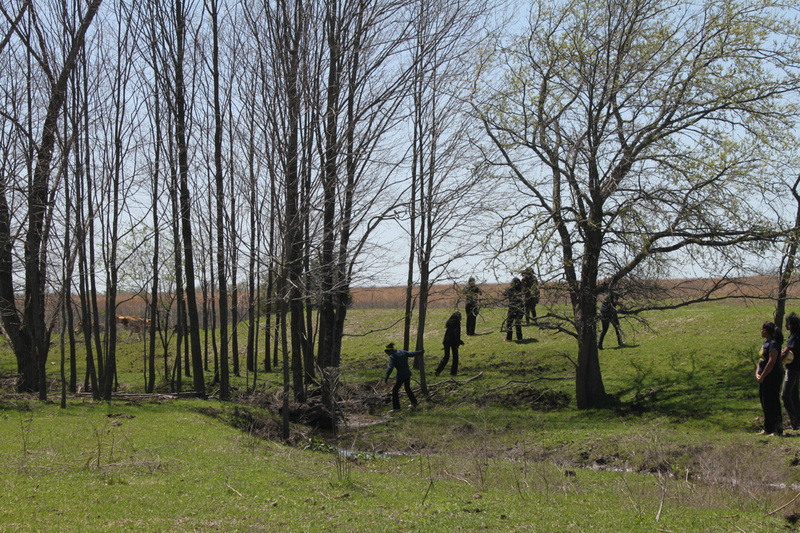 Through this exercise they were able to show a sign of growth and maturity. With the “There is no “I” in team” mentality, they were able to take the little grocery provided and turn into a feast that was able to feed them all.The day continued with a Team building exercise that was designed to allow them all to work as team to overcome every obstacle they were challenged with. 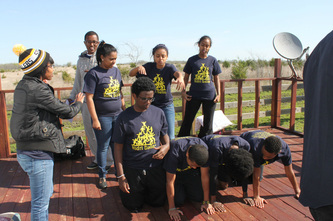 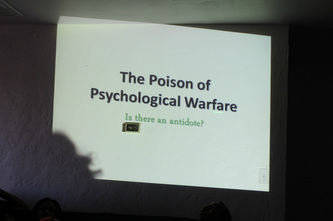 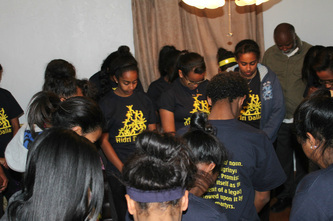 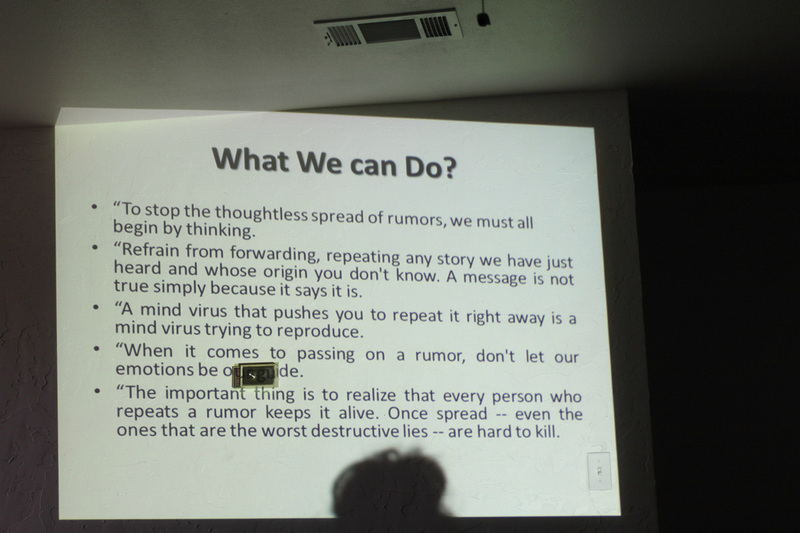 Following the team building exercise, the retreat took off with the NIQHAT portion of the weekend where Dr. Ghidewon provided insight on, The 1997-2000 Eritrea-Ethiopia War, The EEBC Border Ruling and what followed next, and The Poison of Psychological Warfare. 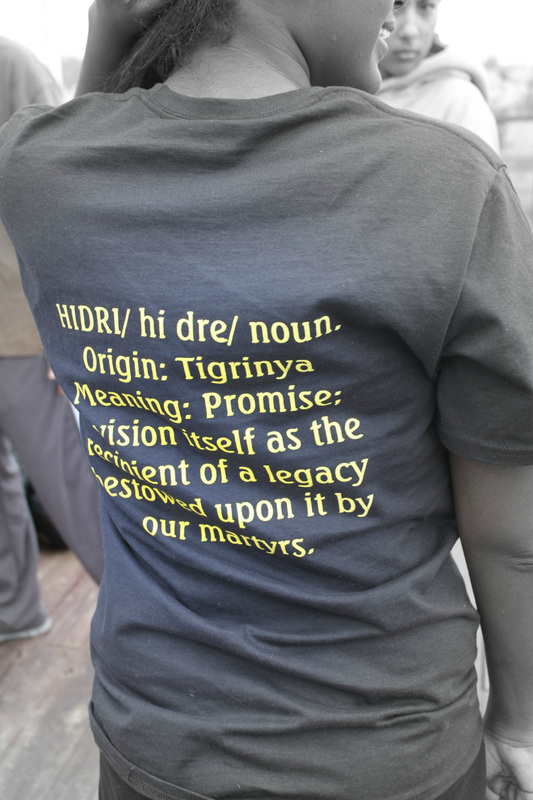 Over all, the event was a great success as HIDRI Dallas arrived with the thirst to learn their Eritrean history and left armed with knowledge and ready to become the ambassadors and advocates for Eritrea. 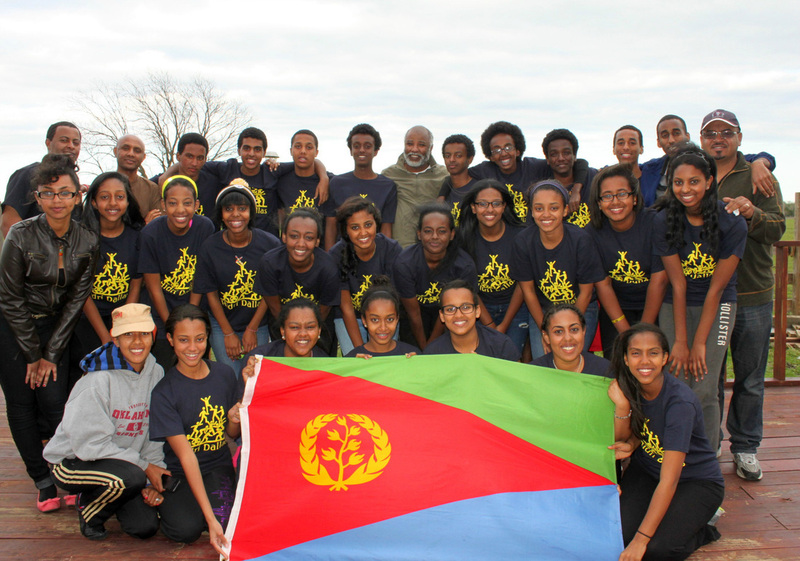 We would like to thank everyone that attended, but most importantly we would like to thank our guest speaker Dr. Ghidewon who not only taught us but left us motivated to continue the Eritrean legacy.